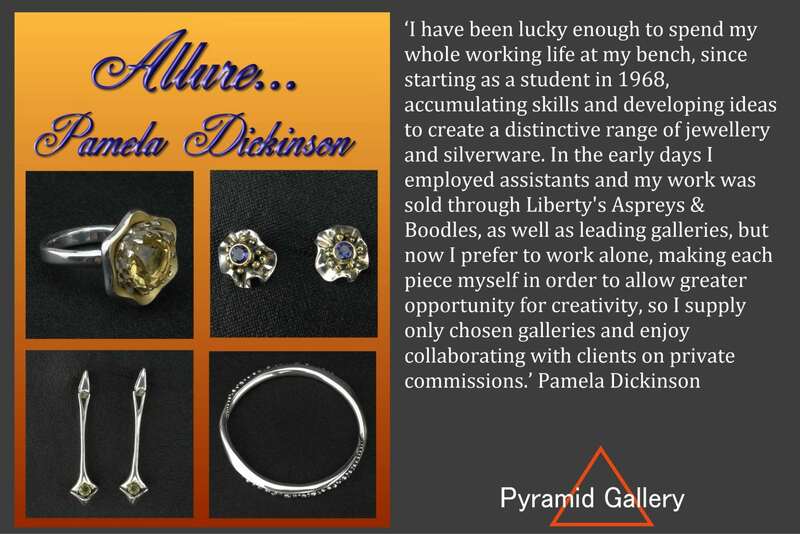 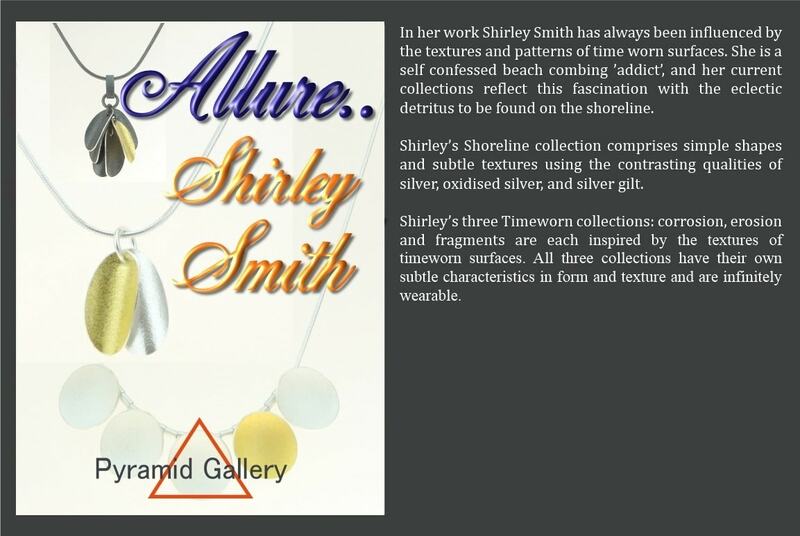 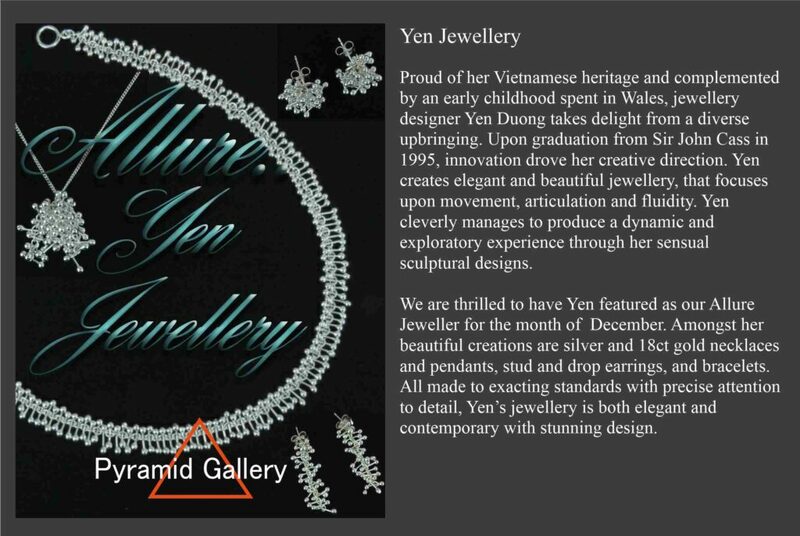 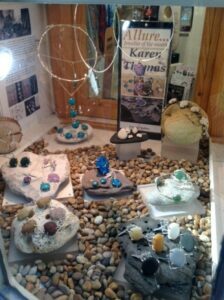 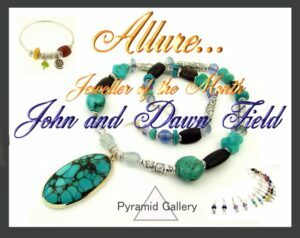 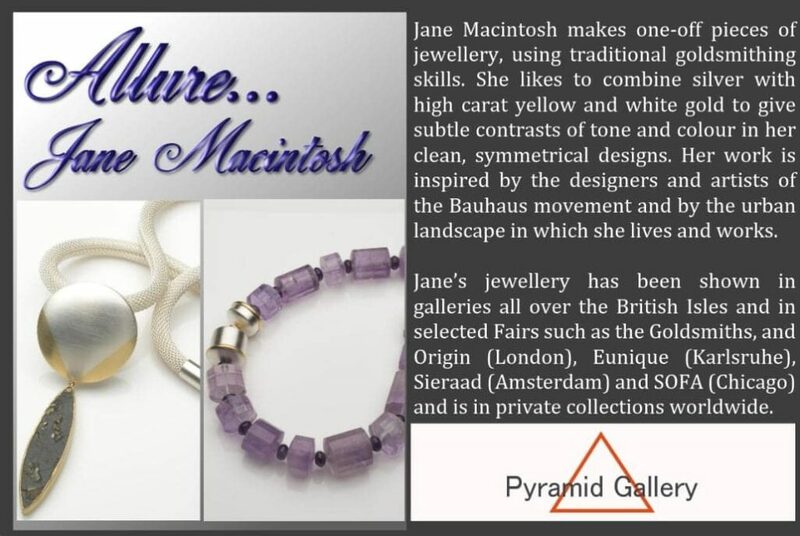 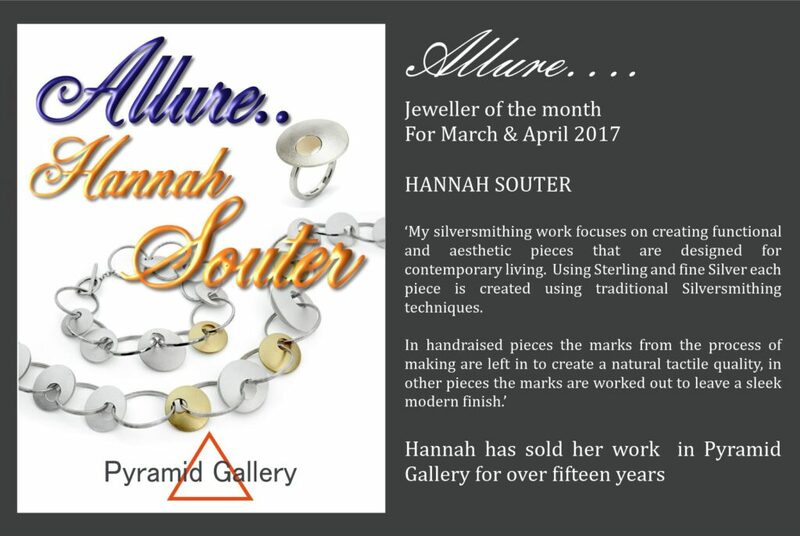 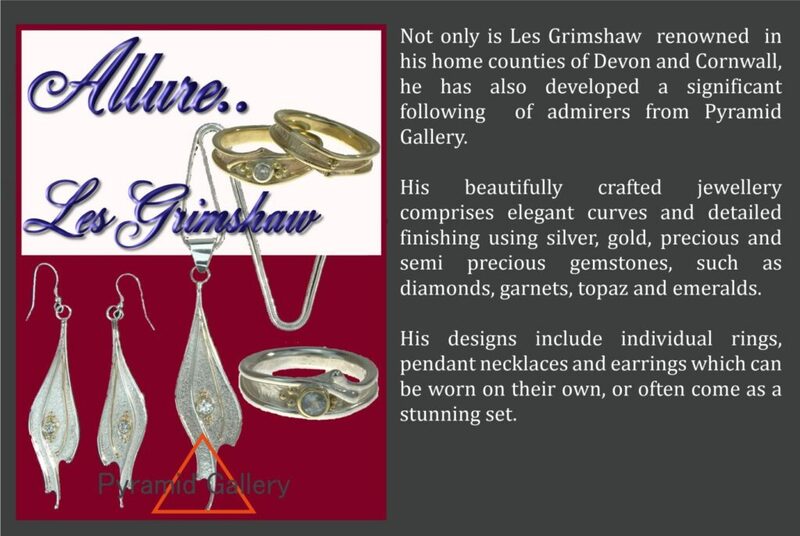 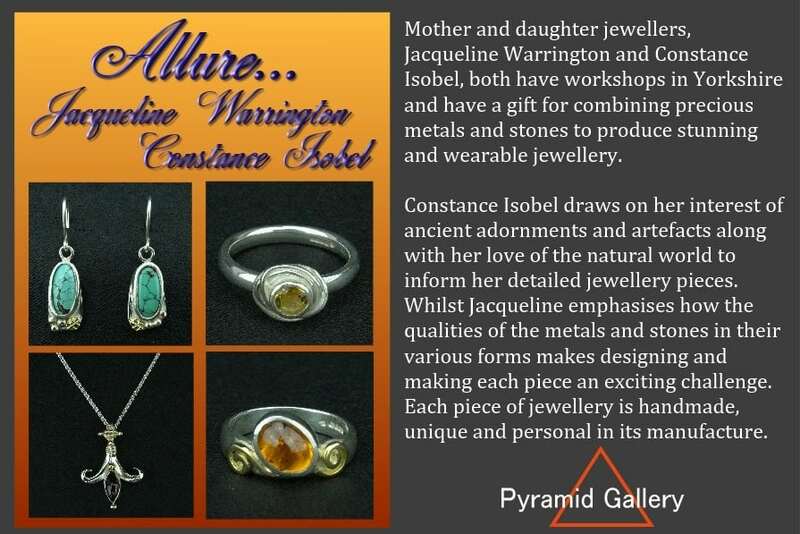 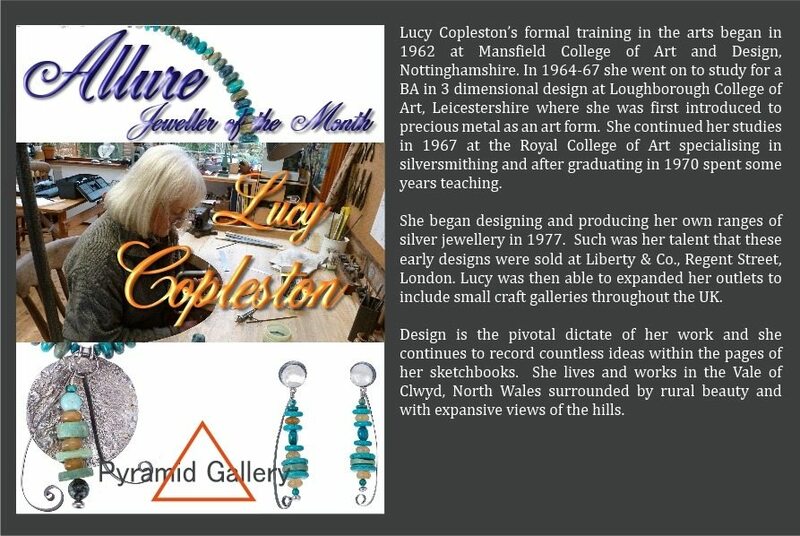 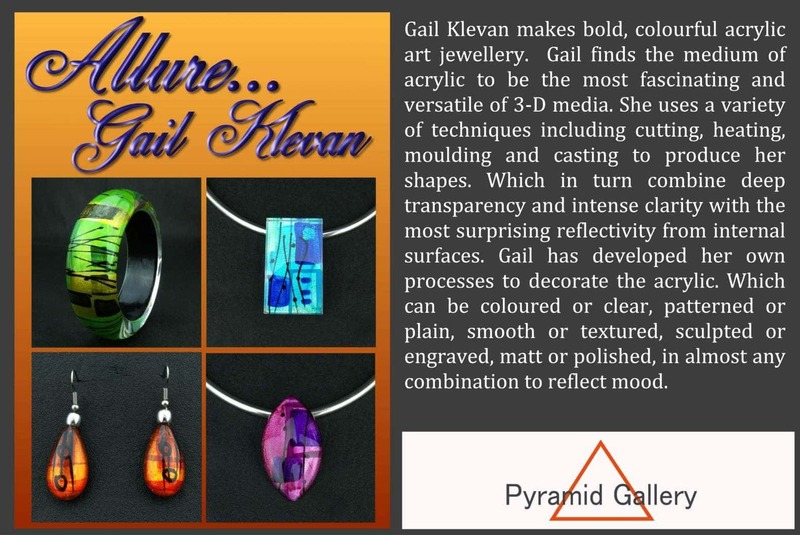 Every 4 to 8 weeks, a portion of our front window is dedicated to a selected jeweller who has previously exhibited at Pyramid Gallery. 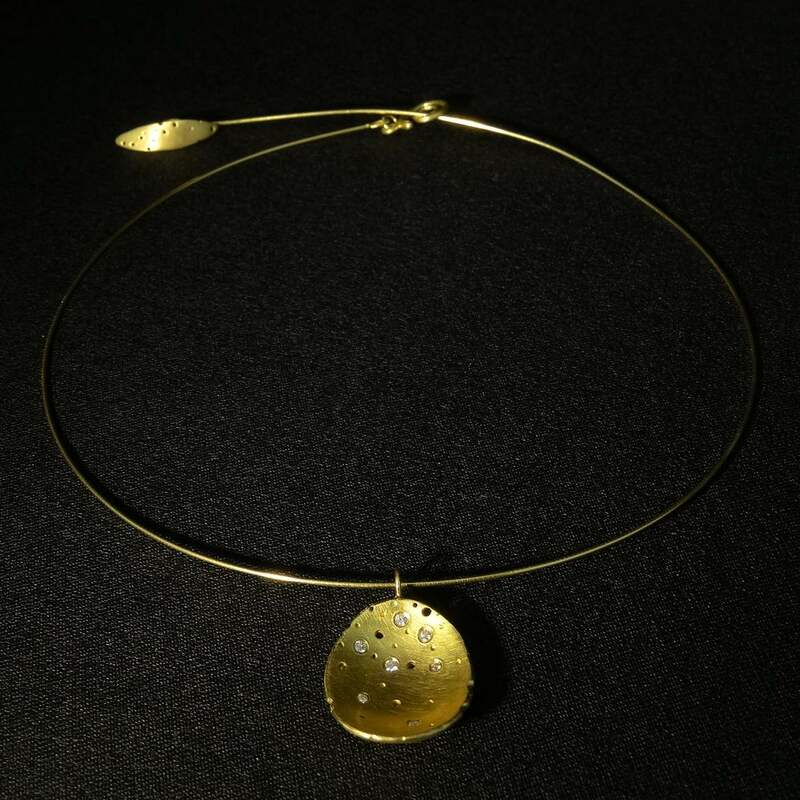 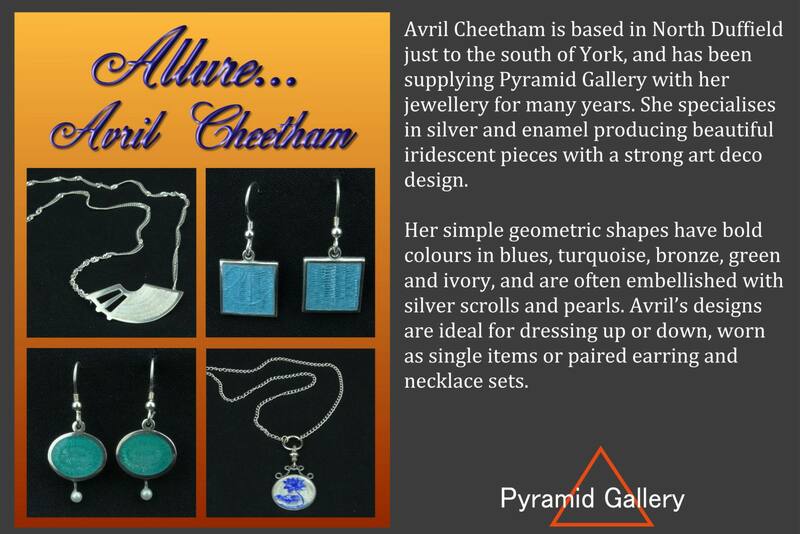 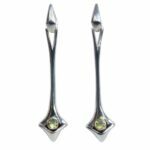 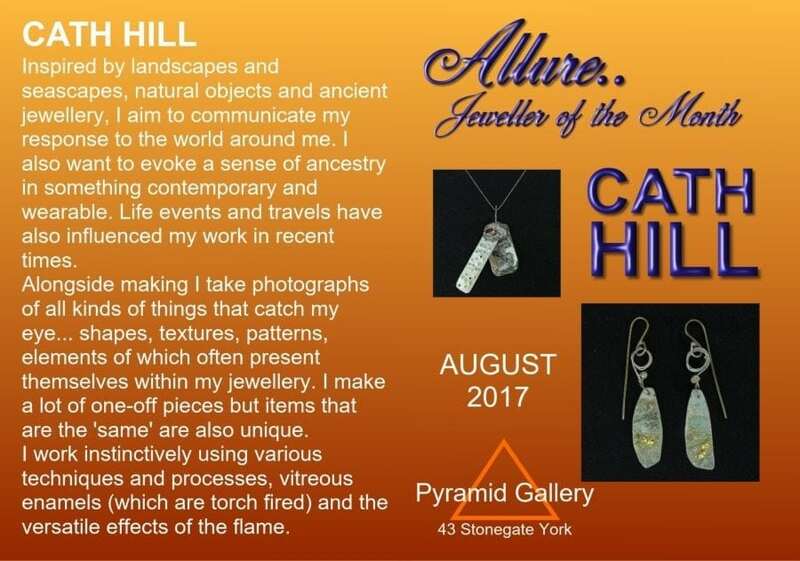 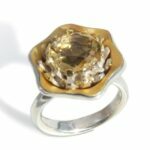 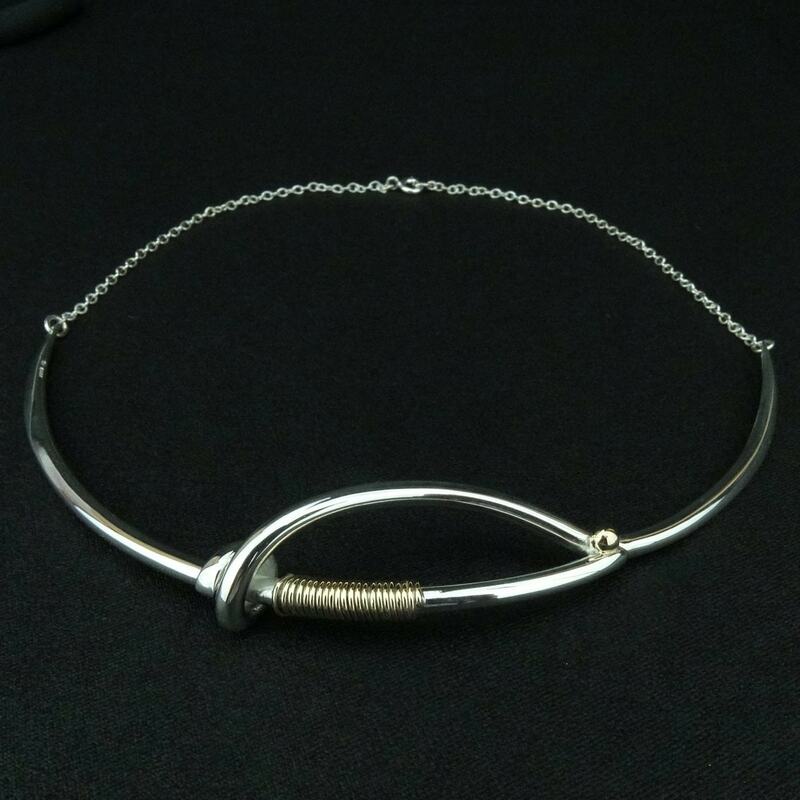 As part of our commitment to promoting the work of British artists and jewellers, we are pleased to be showcasing the work of Yorkshire jeweller Avril Cheetham. 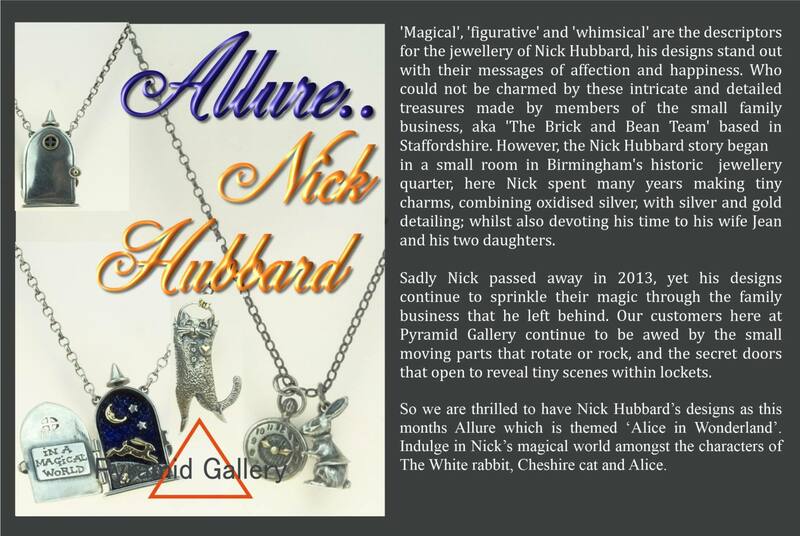 Avril is featured as our ‘Allure Jeweller’ throughout April 2019. 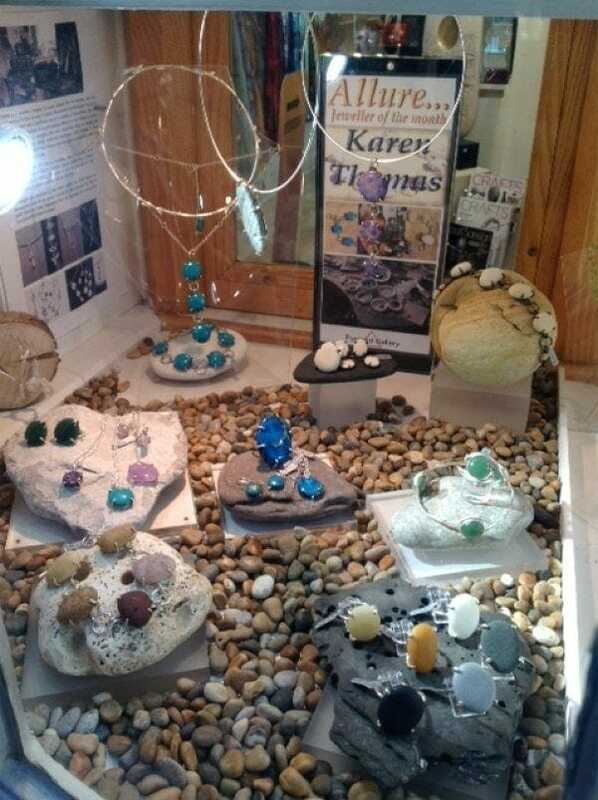 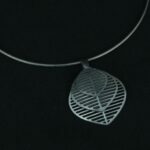 Karen Thomas is a jewellery designer & maker, originally from the Midlands, who has been living & working in York for over 17 years. 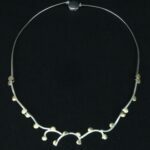 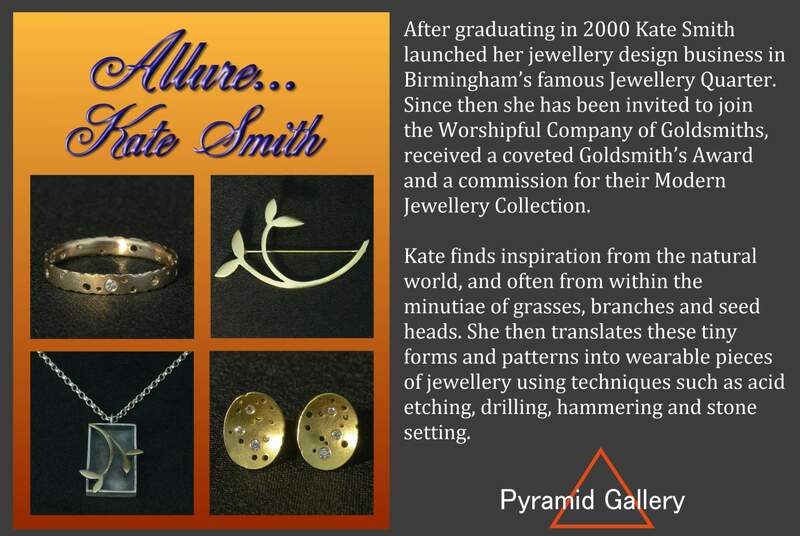 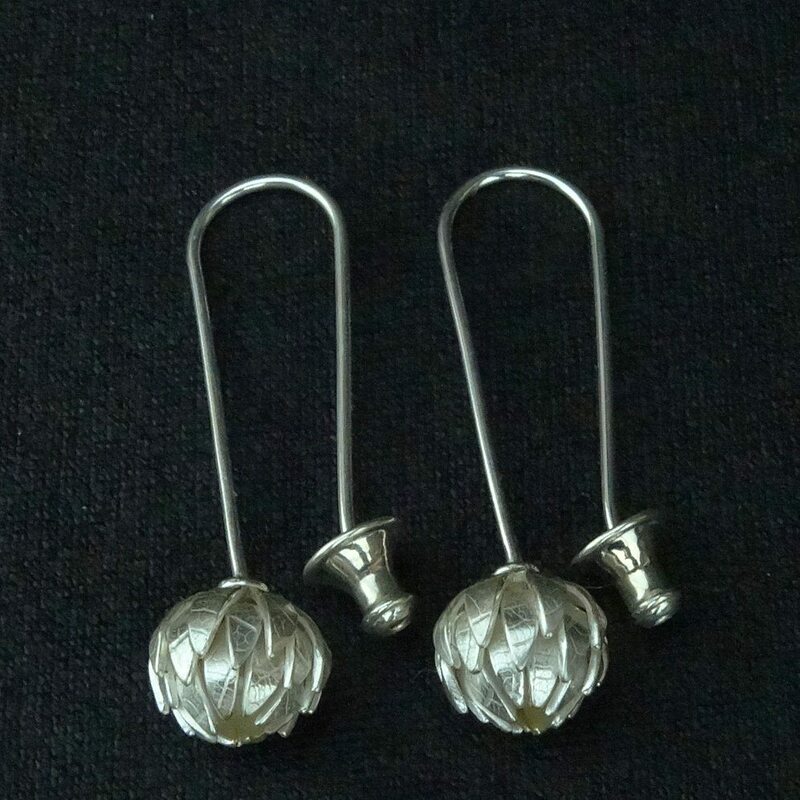 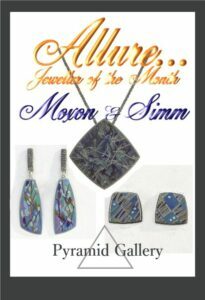 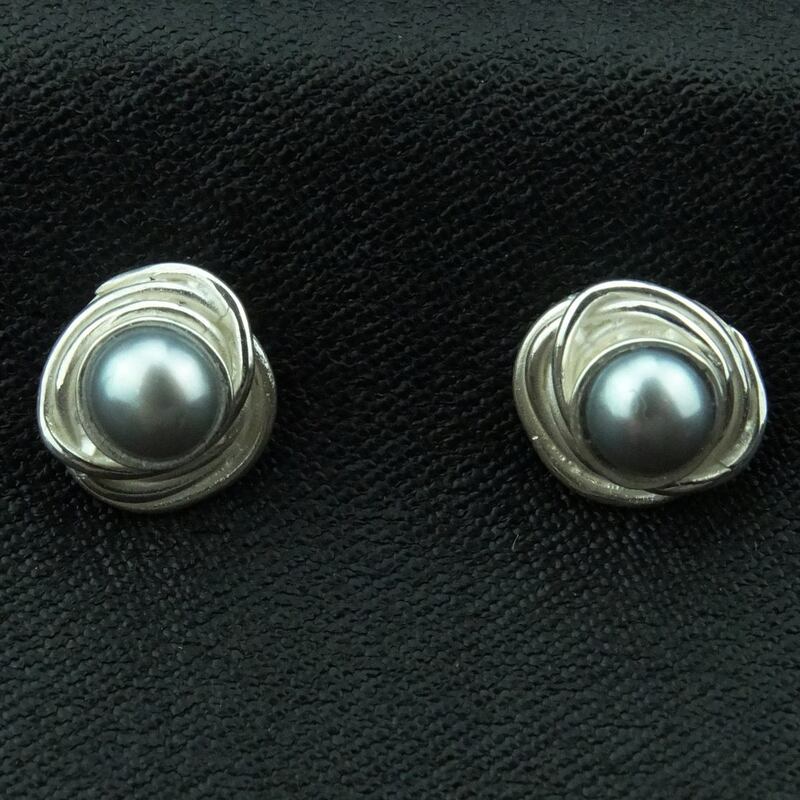 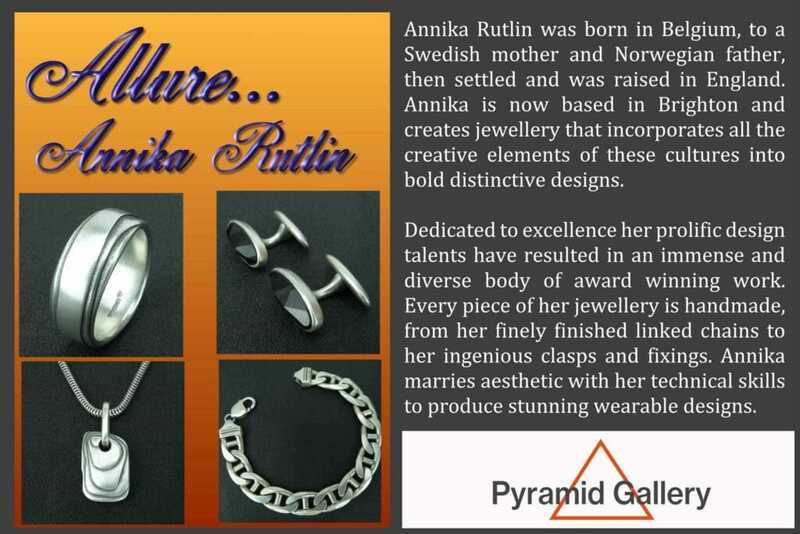 She graduated from Birmingham School of Jewellery (UCE) in 1998 with a BA(Hons) degree in Jewellery & Silversmithing. 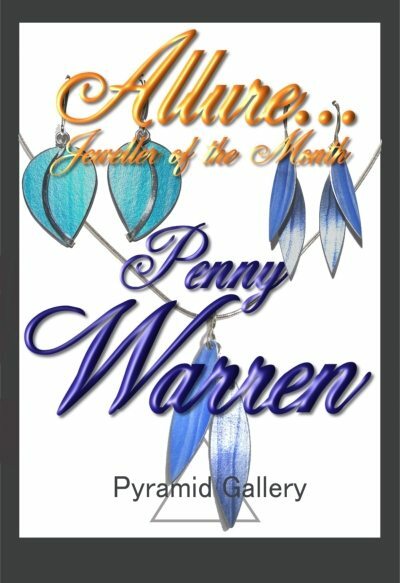 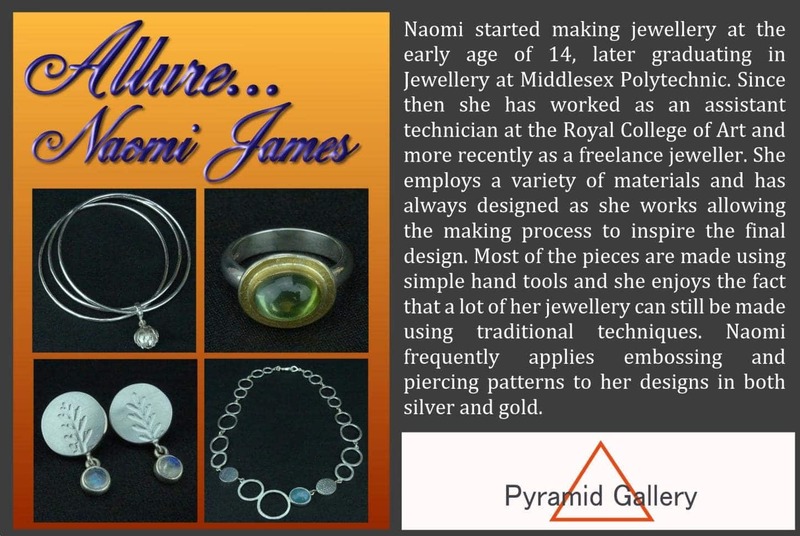 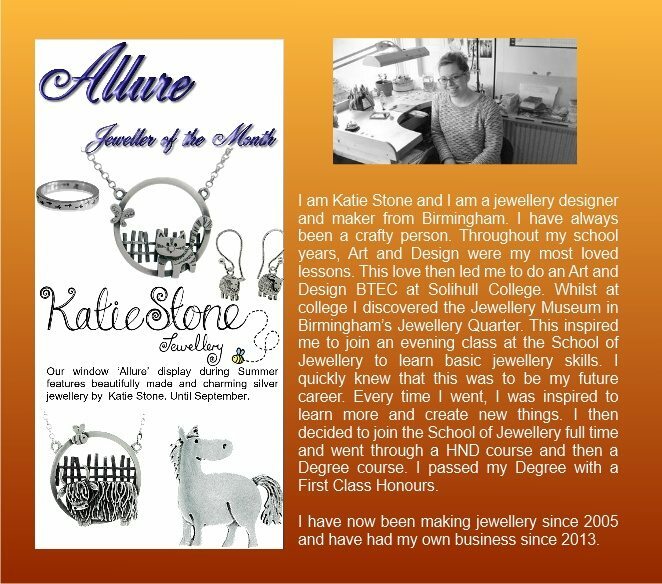 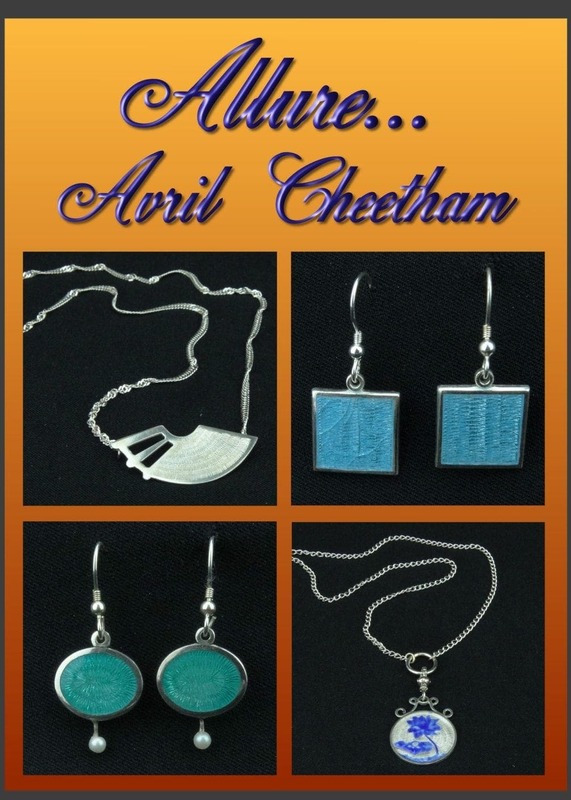 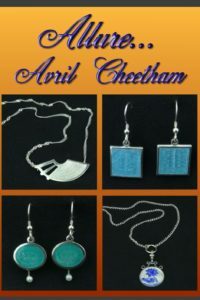 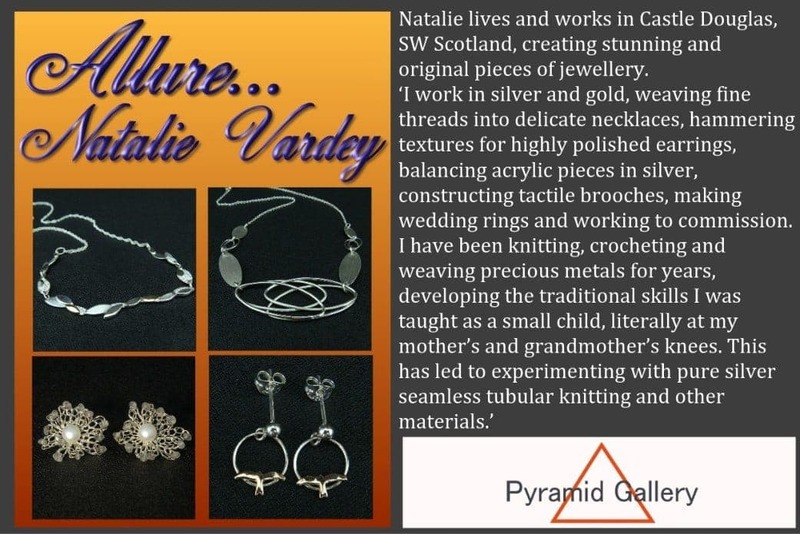 She has worked in busy trade workshops & taught jewellery making at a local college & school, while also producing her own designs. 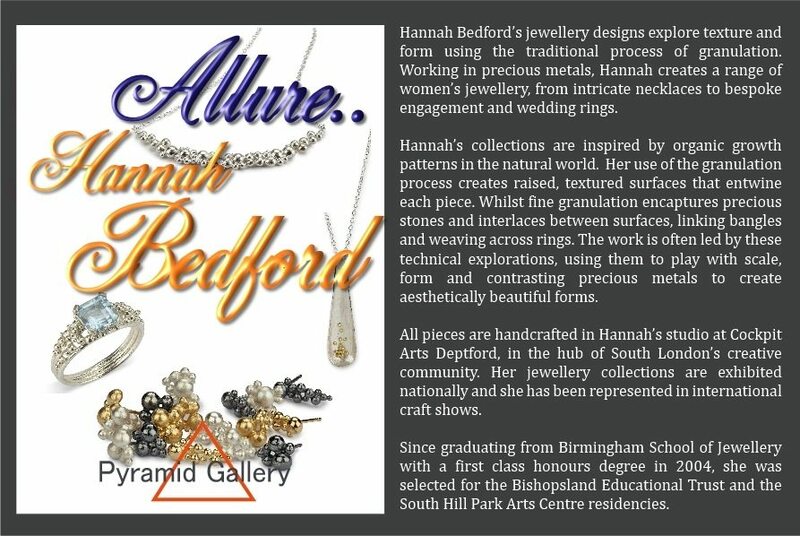 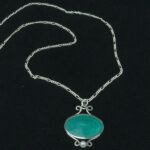 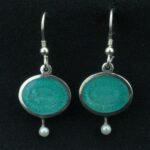 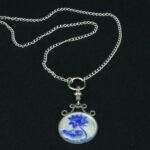 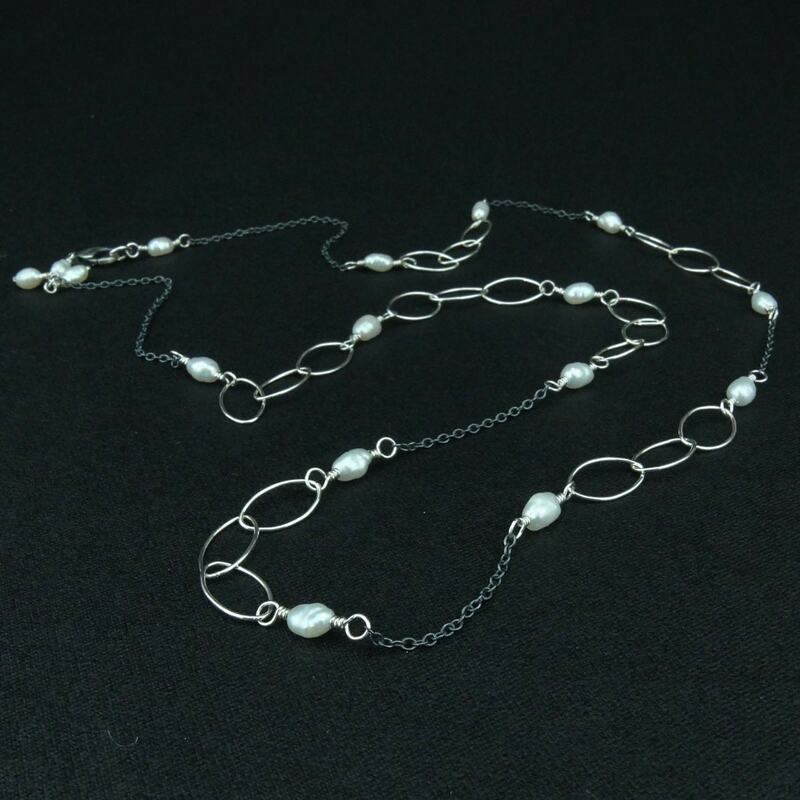 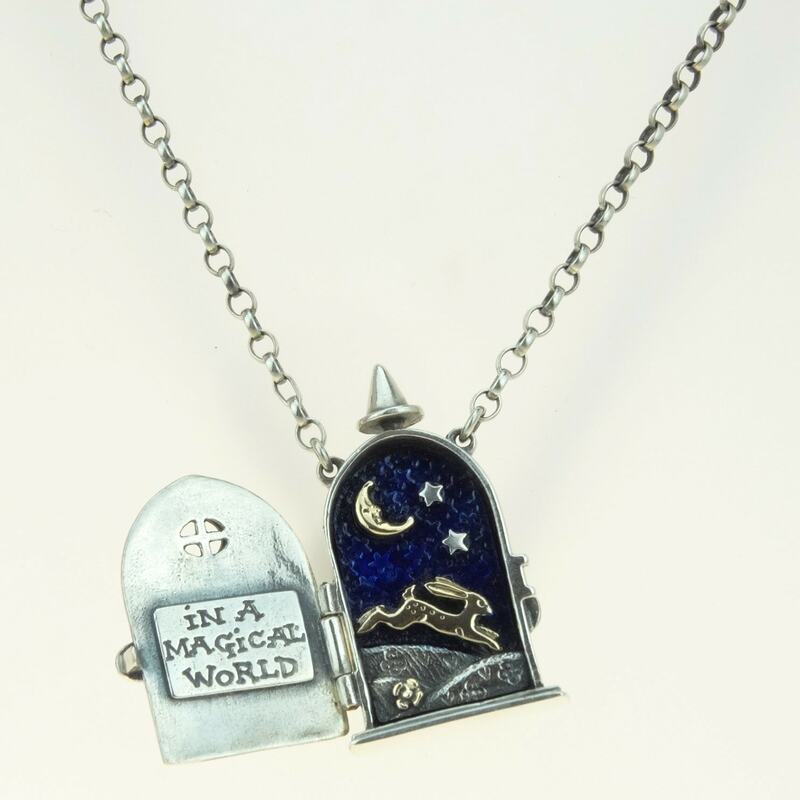 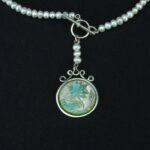 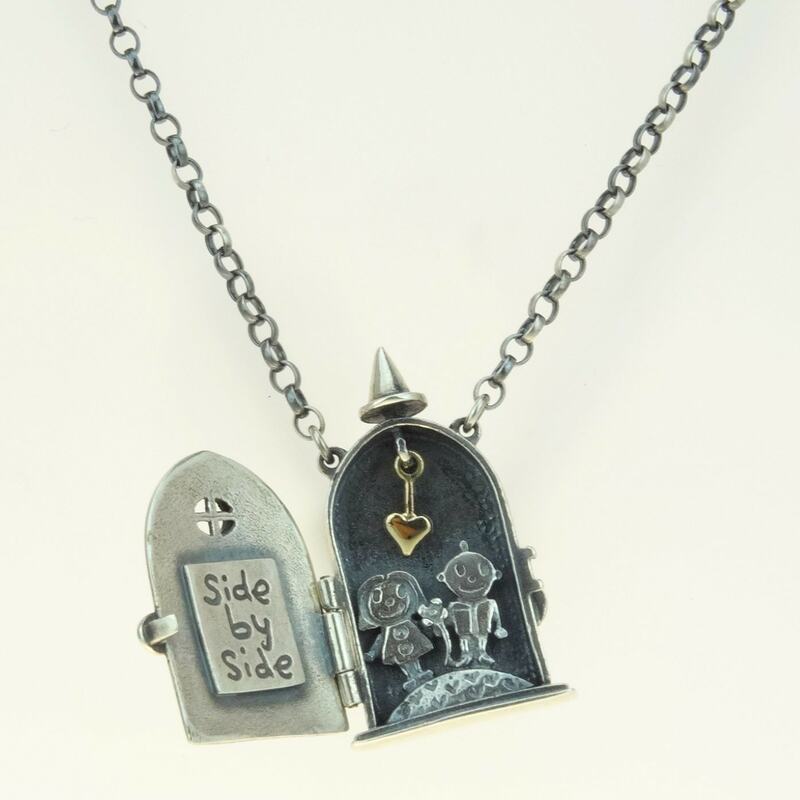 She now concentrates solely on creating her beautiful, wearable jewellery. 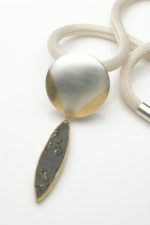 Using traditional techniques; mainly working in silver sometimes in gold she makes limited editions, one off pieces & commissions, which she sells through galleries across Europe. 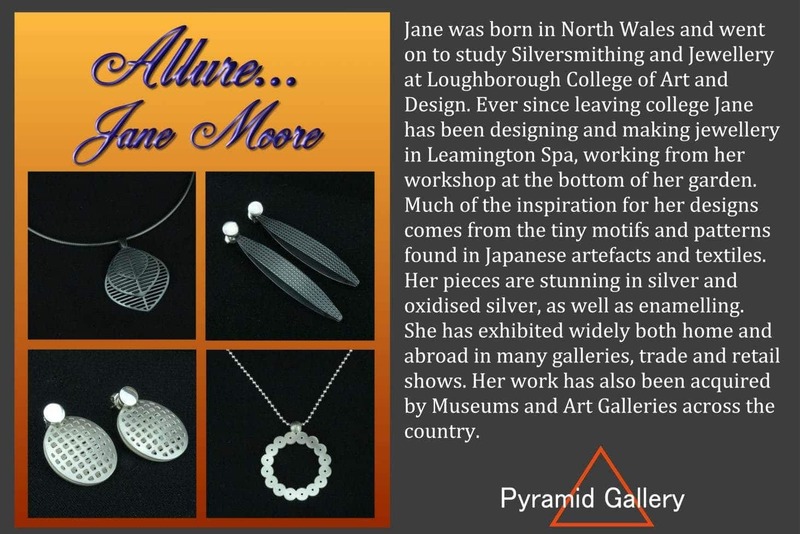 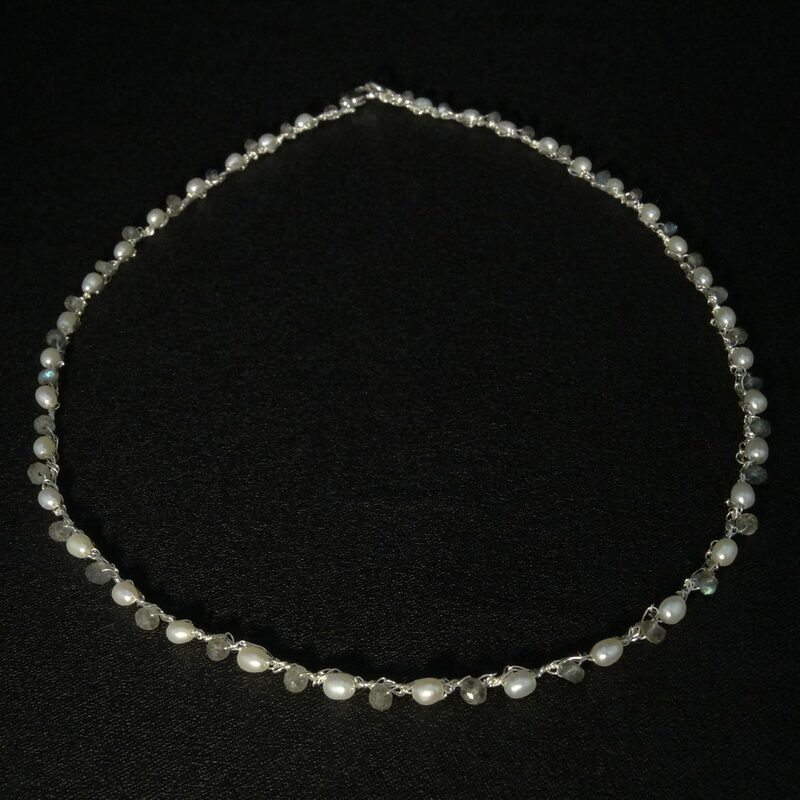 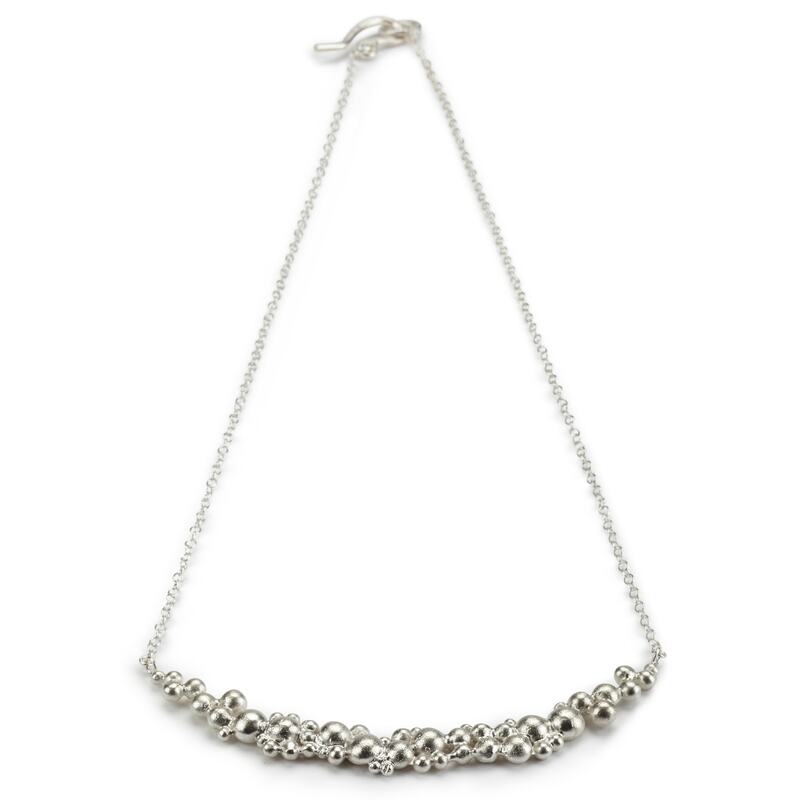 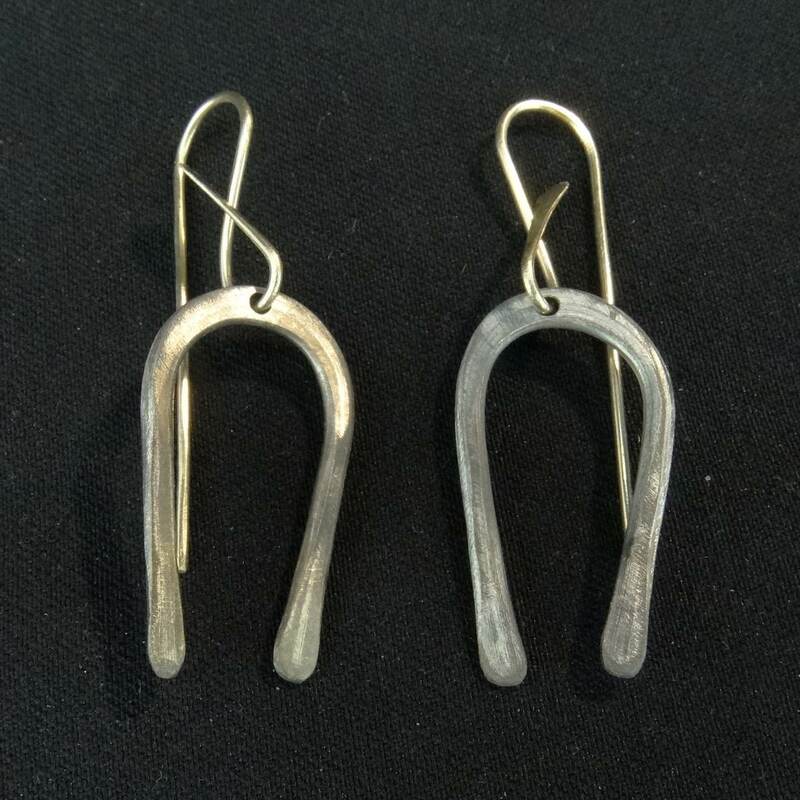 “I love the process of creating, wearable pieces of jewellery, be it constructing a mount for an unusual stoneor handcrafting a master, making a mould & running off waxes to generate cast units so I can produce ranges of silver jewellery that are affordable. 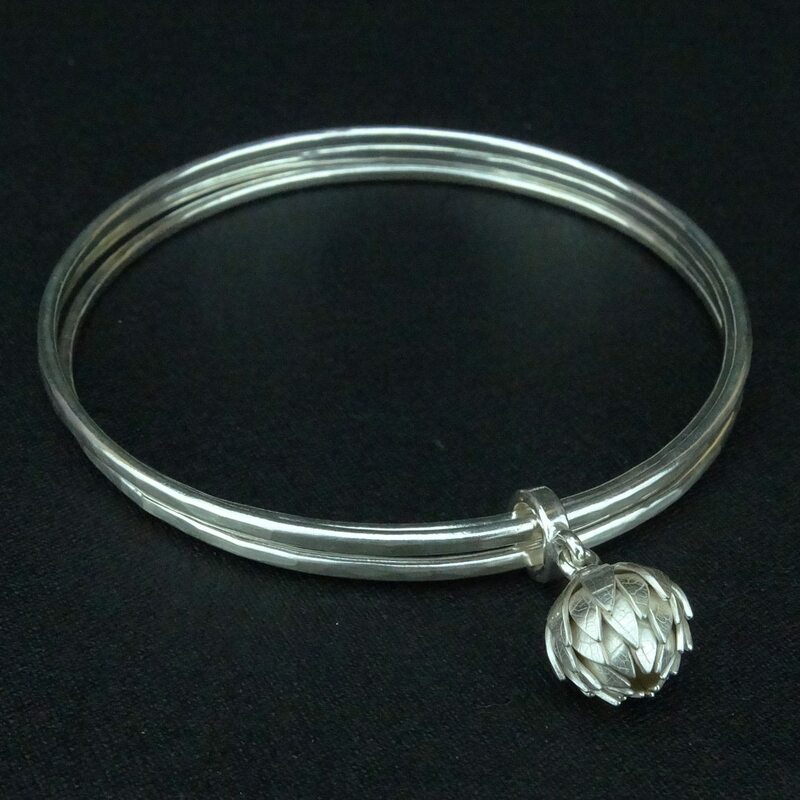 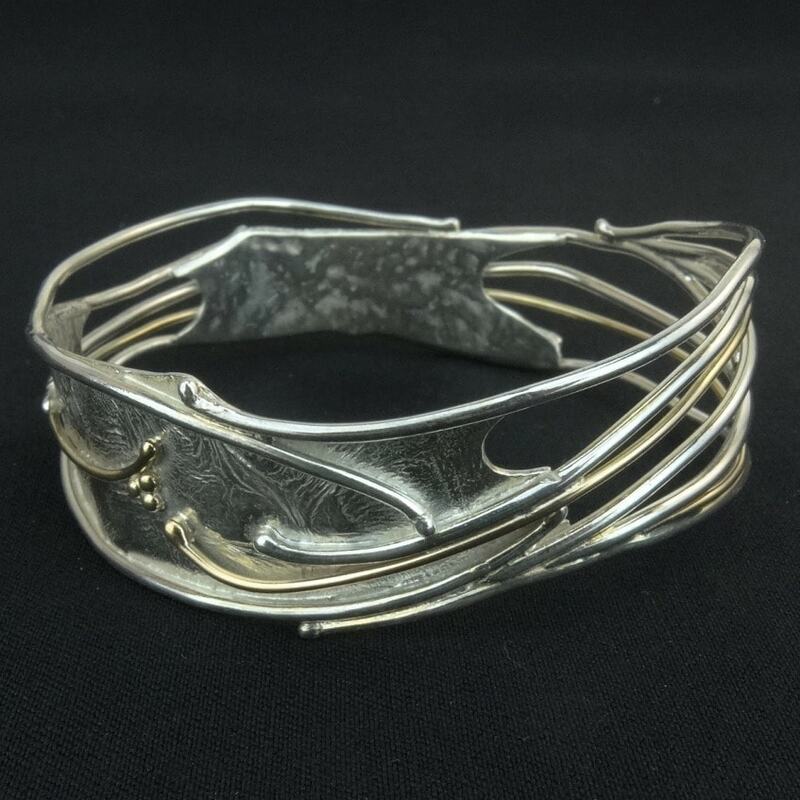 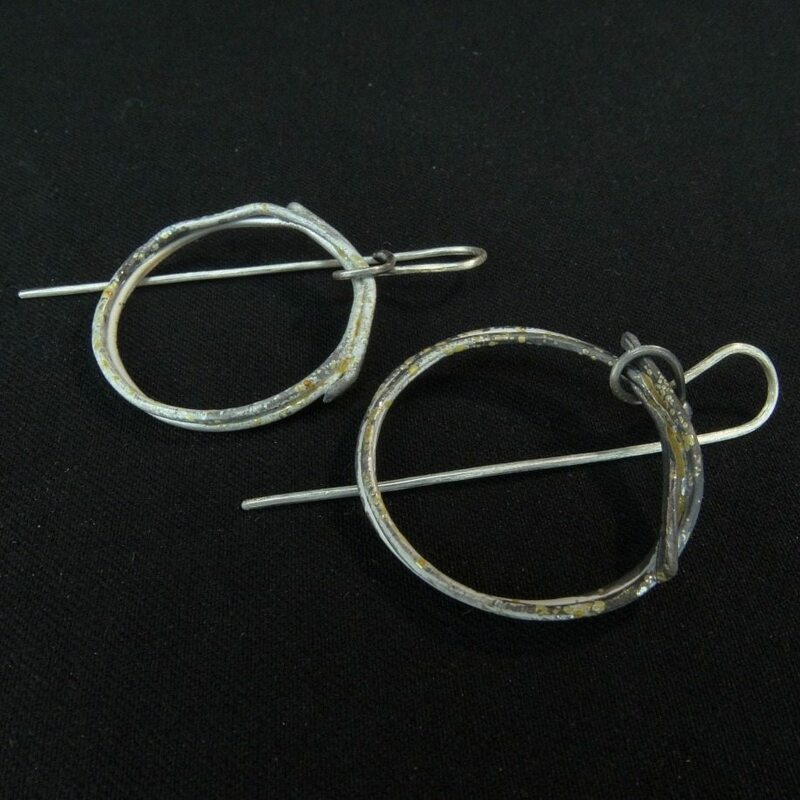 Ian Simm and Debbie Moxon trained at Sheffield for BA(Hons) Silversmithing and Jewellery, graduating in 1981. 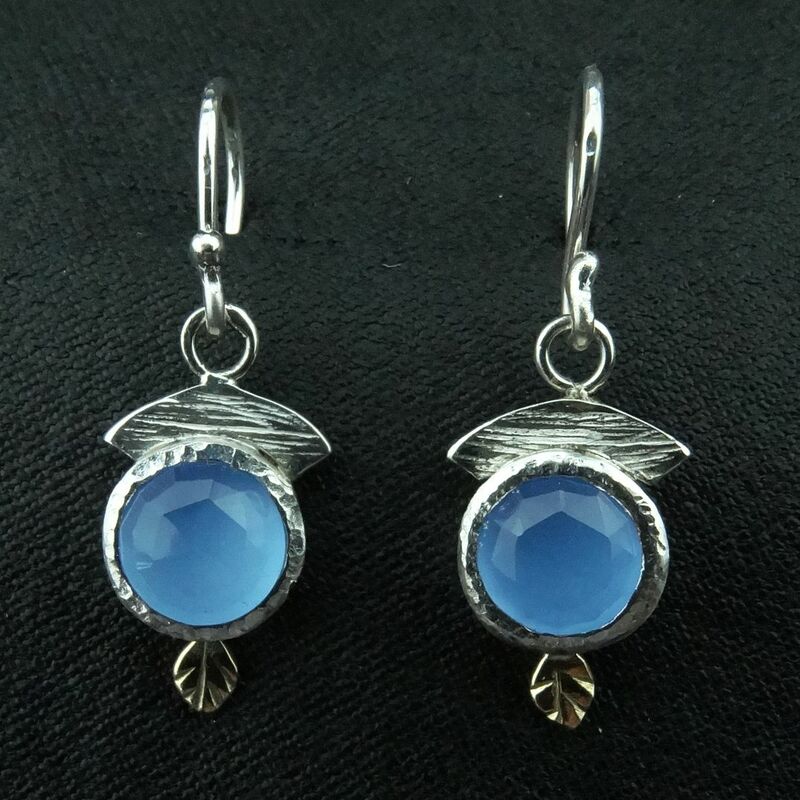 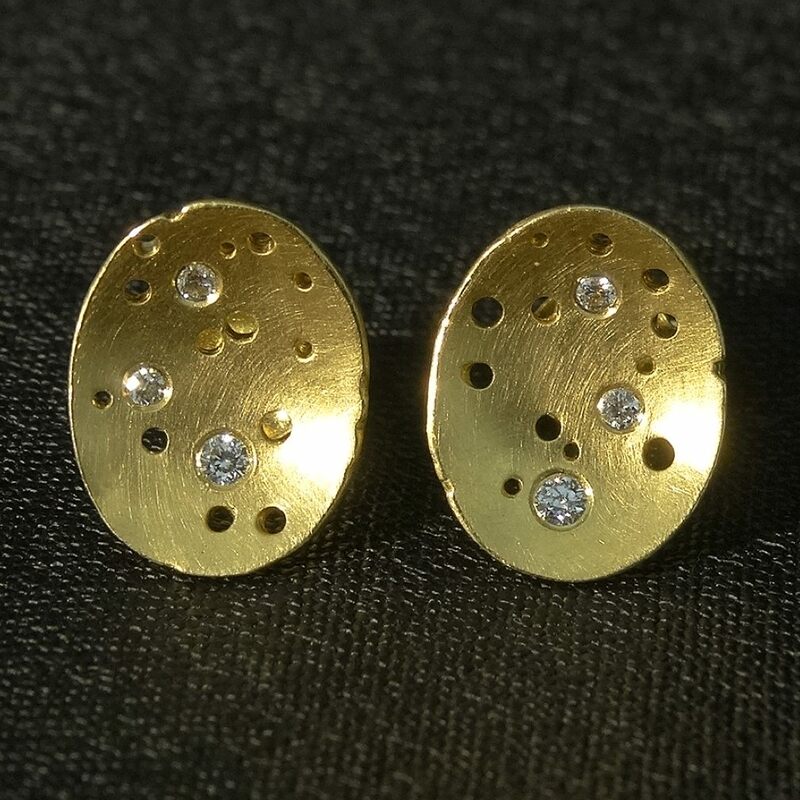 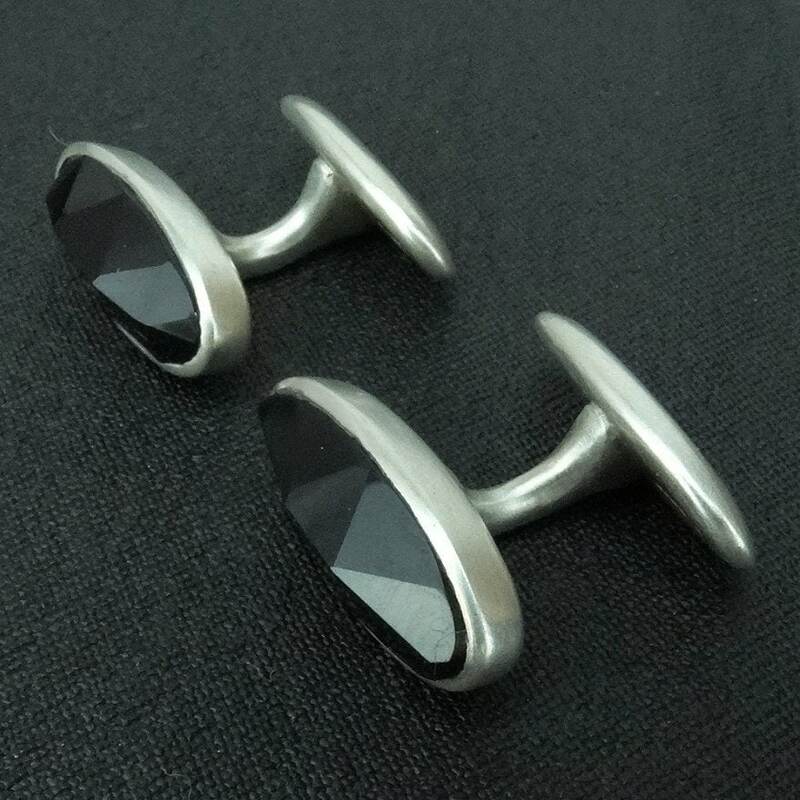 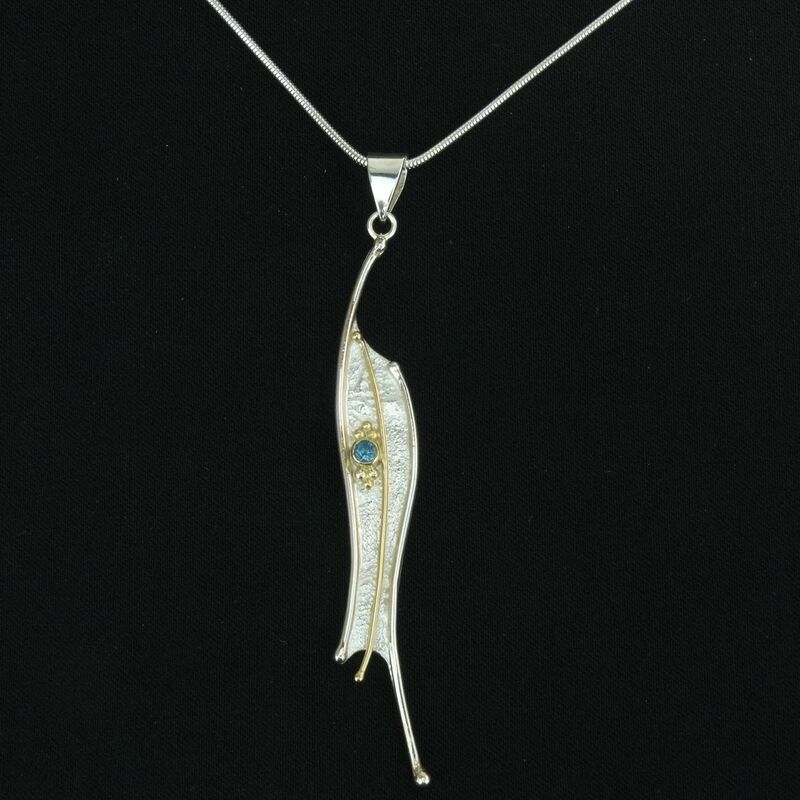 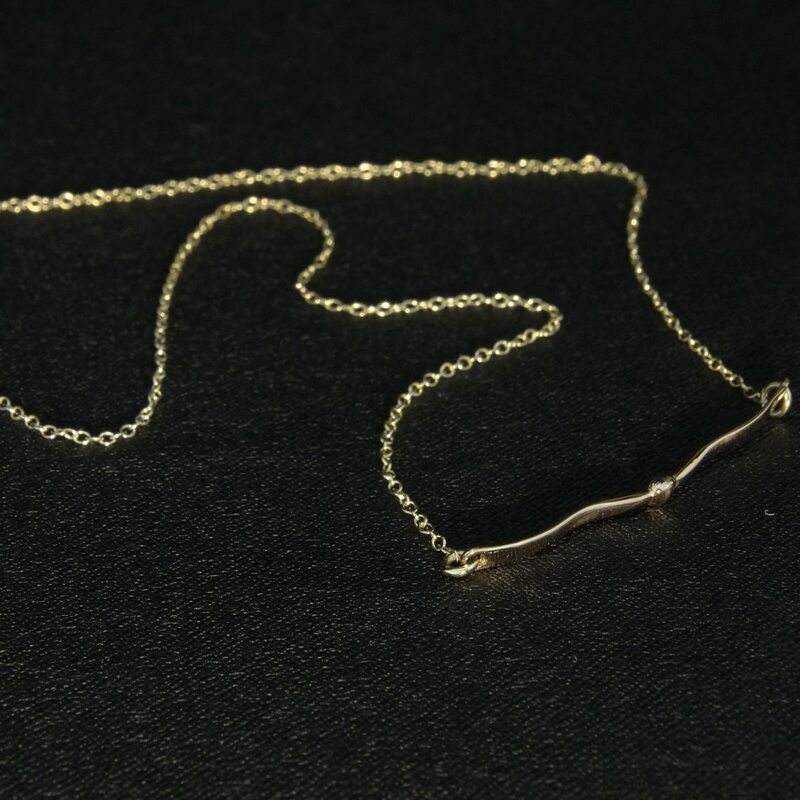 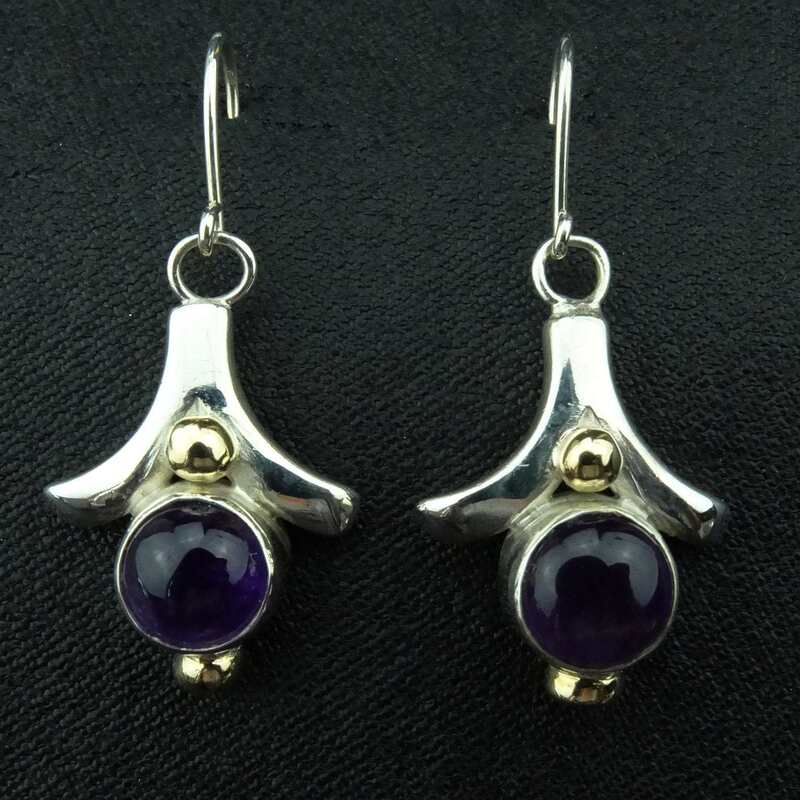 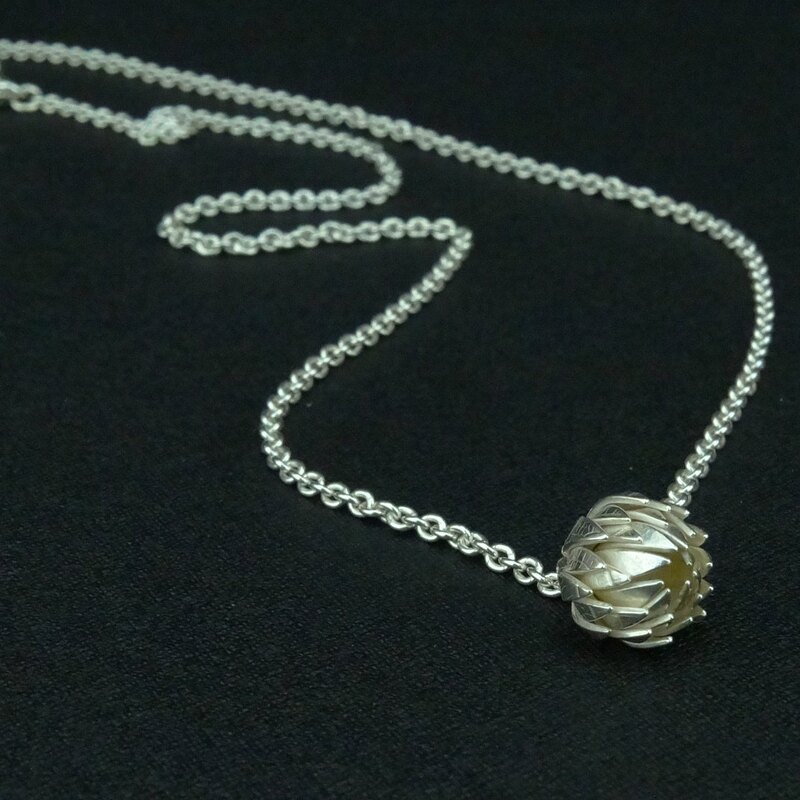 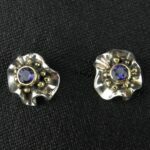 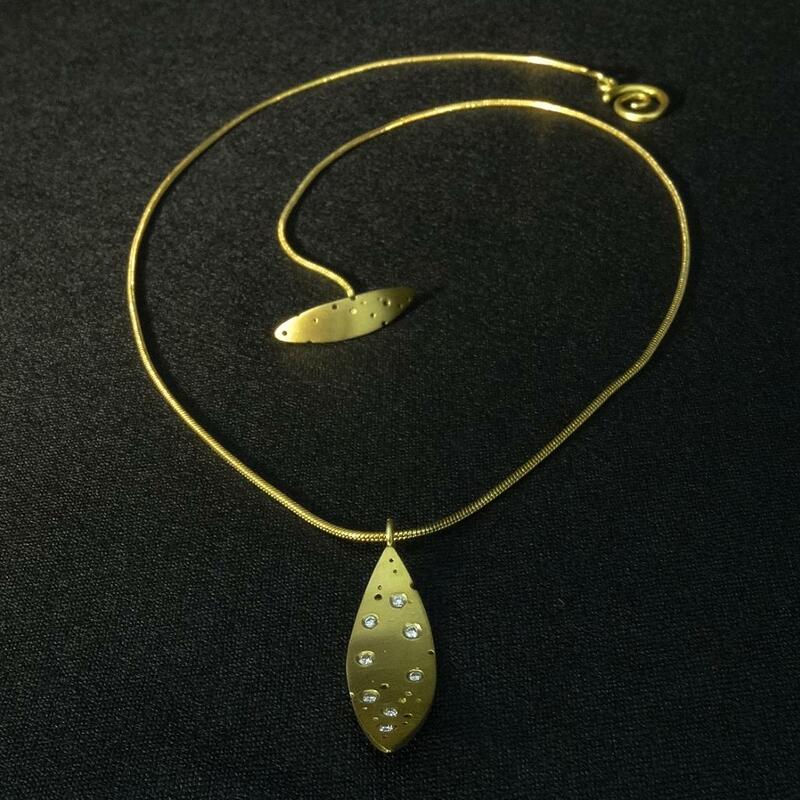 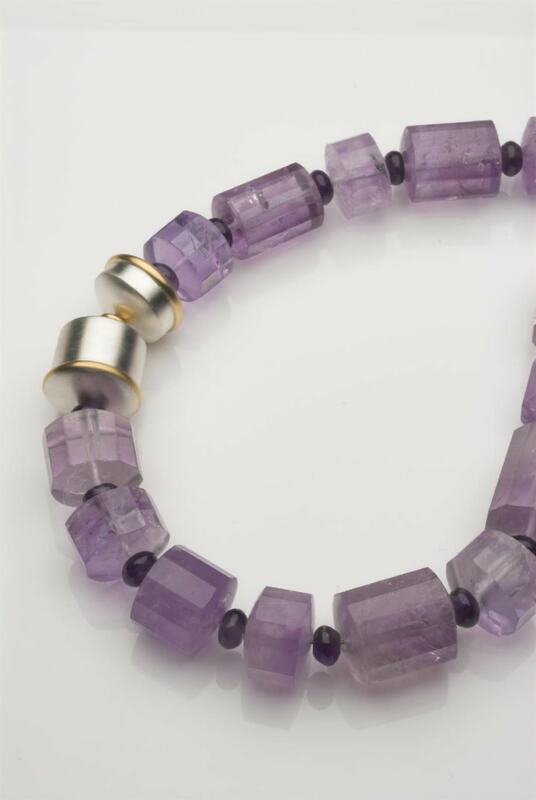 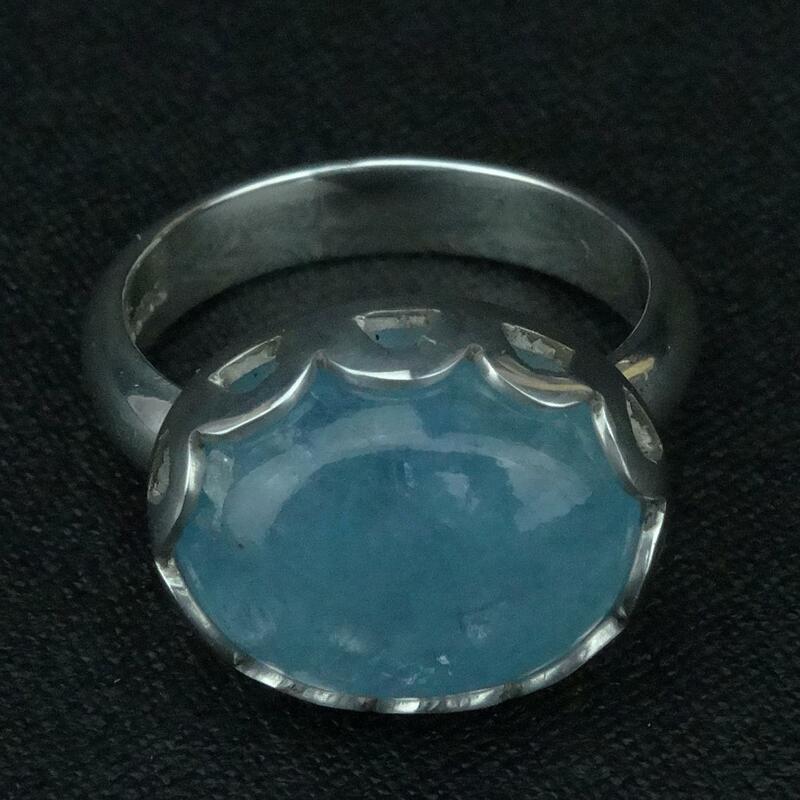 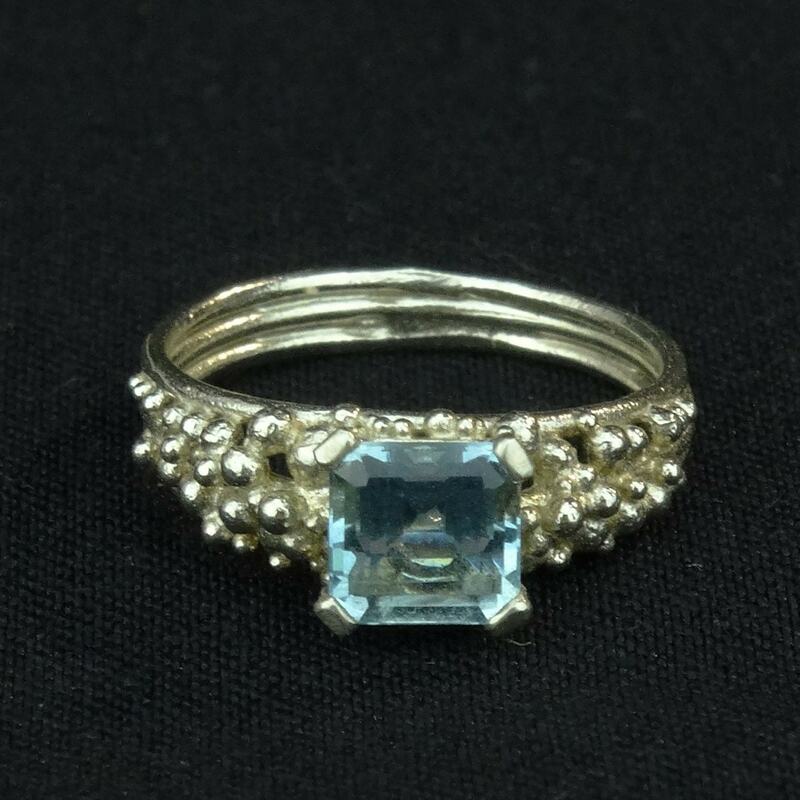 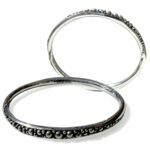 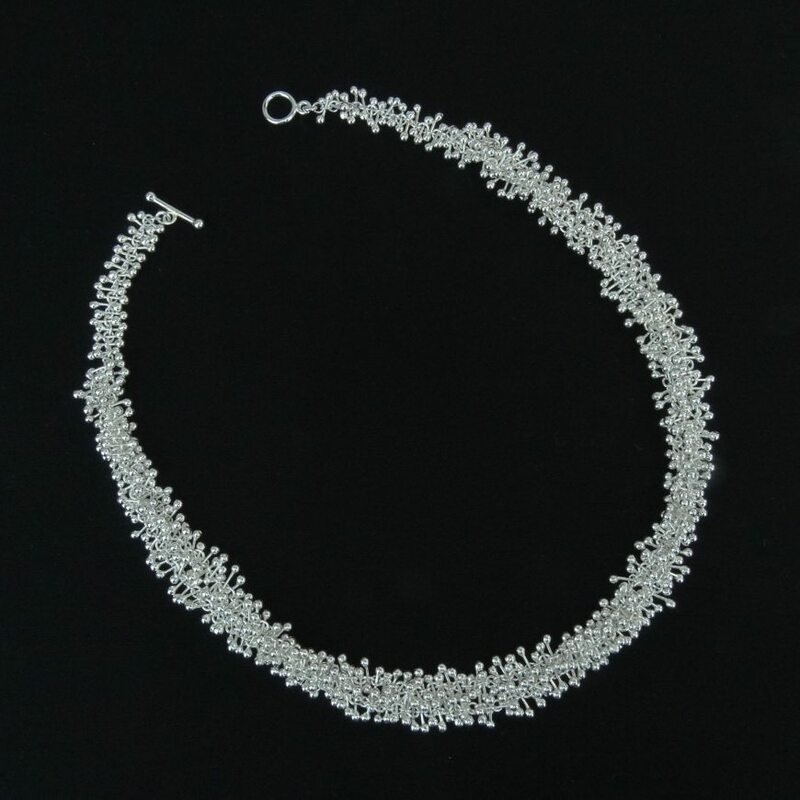 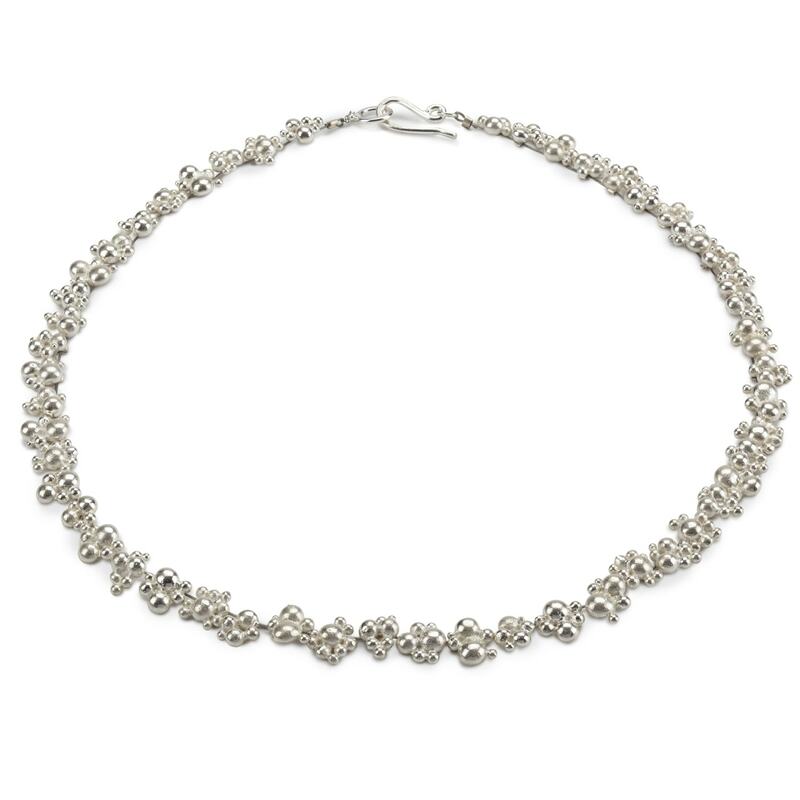 The uniqueness of each piece and the labour intensive nature of making and finishing ensures that production is limited and this in turn makes the jewellery highly desirable for collectors of quality handmade jewellery. 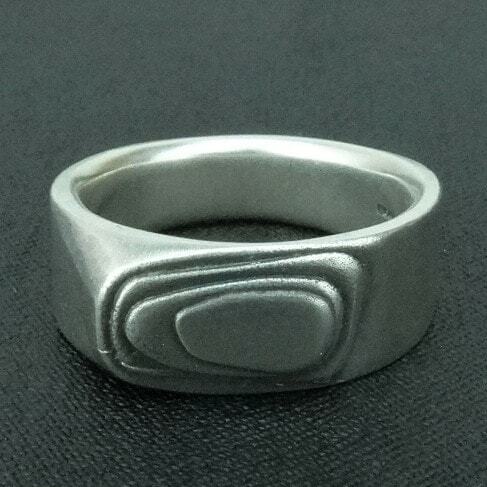 A refractory metal. 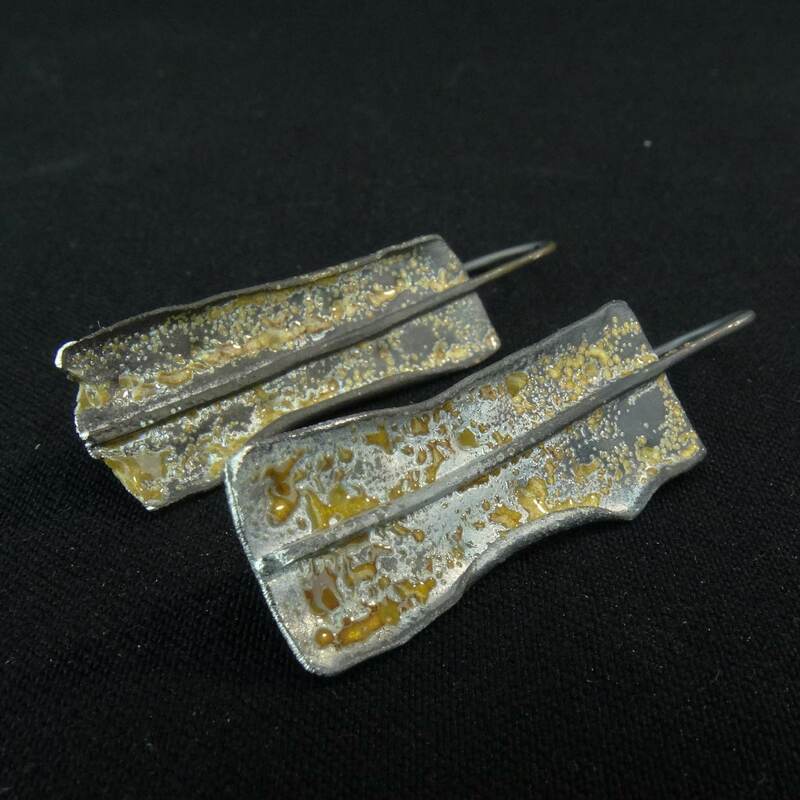 A metal that is strong and light and has the intiguing quality of colouring permanently by heating or anodising. 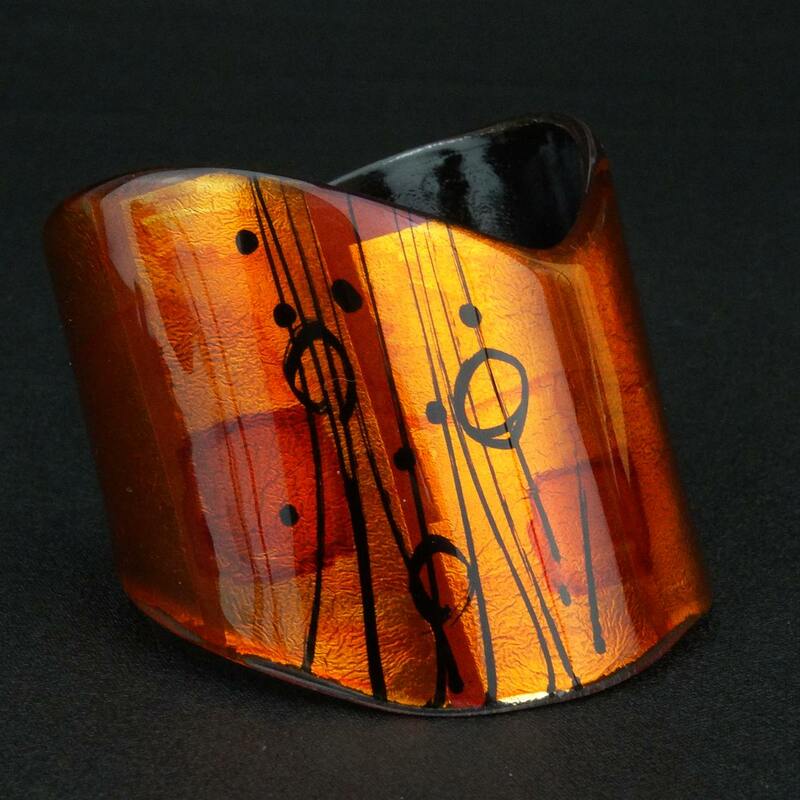 Debbie developed her techniques for heat colouring titanium over the last 25 years. 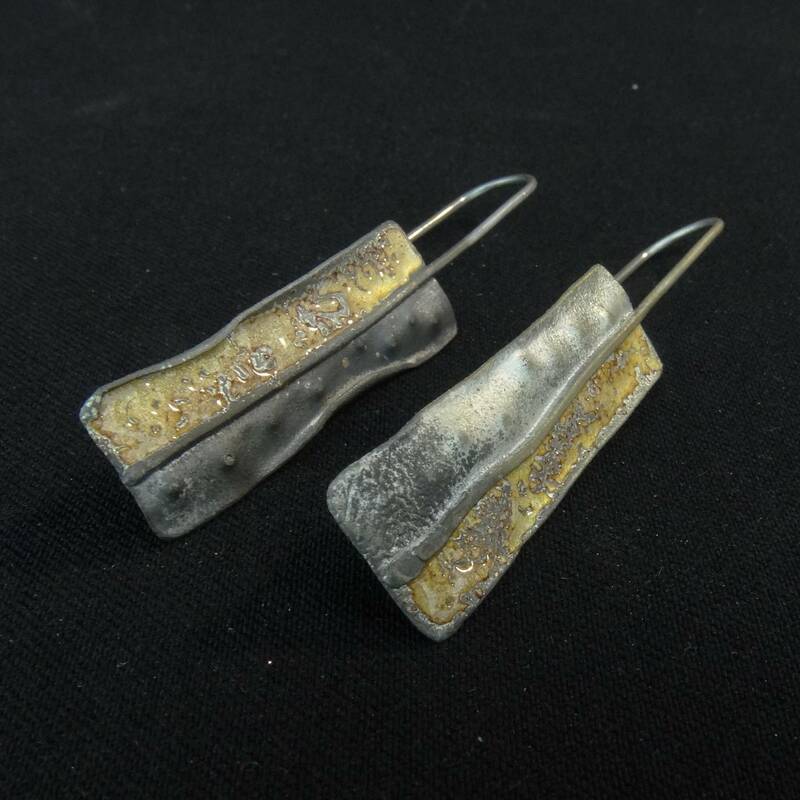 and has received funding from the Arts Council for research and development into the heat colouring of titanium. 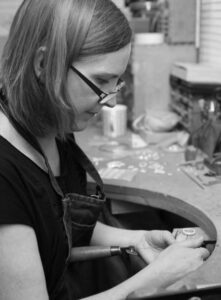 A degree of chance is integral to the colouring method, so each piece is carefully considered. 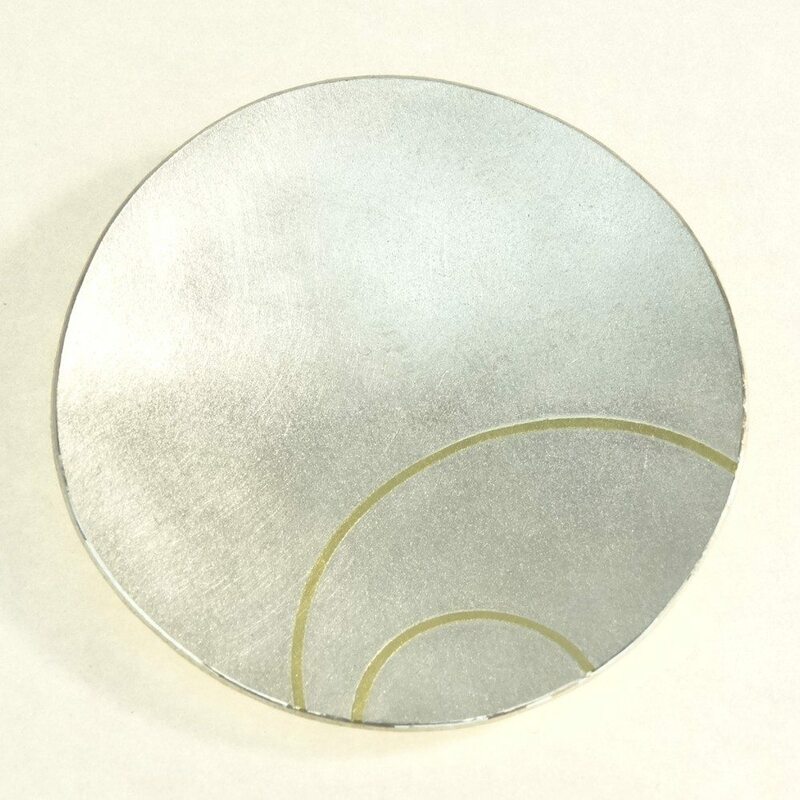 Ian’s expertise in precision cutting make possible the level of quality for which they are known. 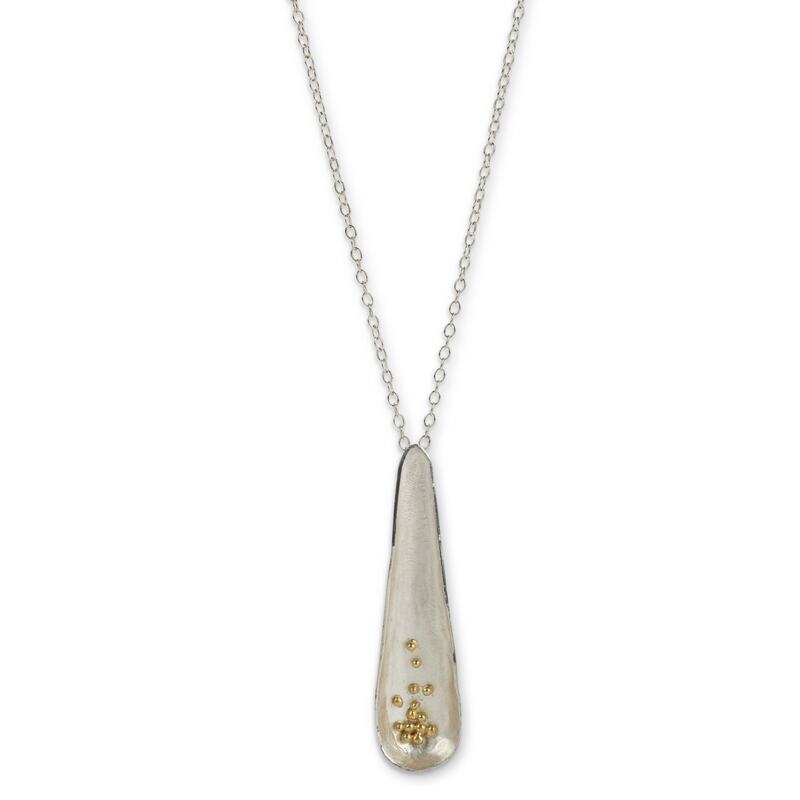 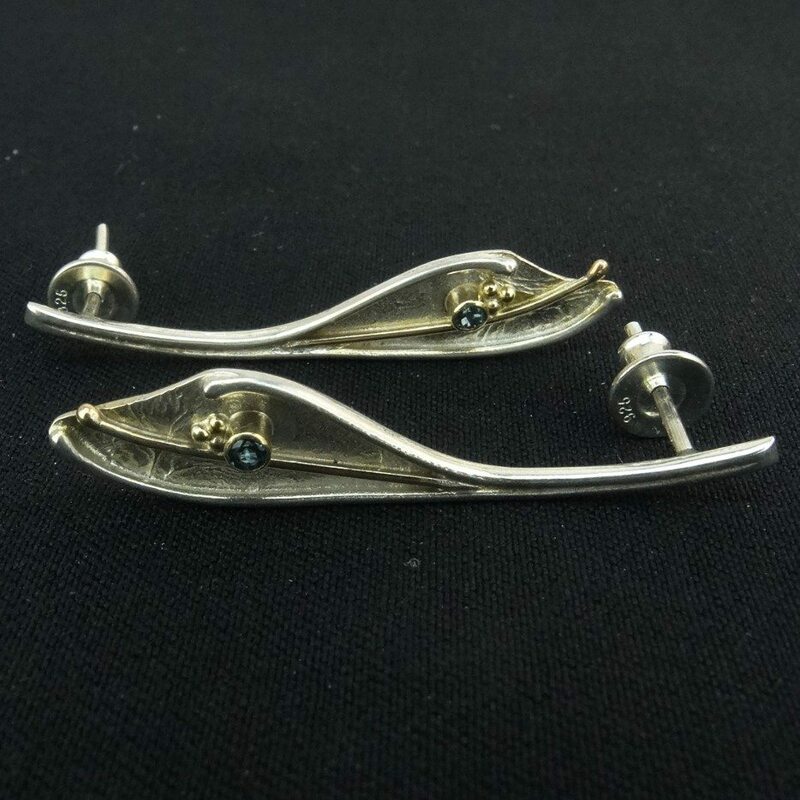 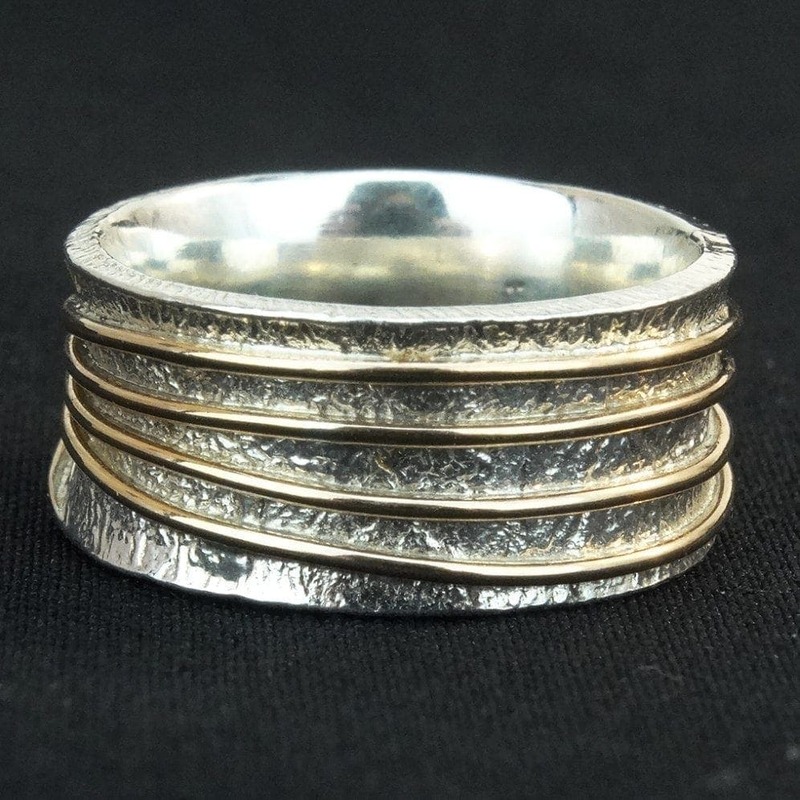 Helen Lea works from her jewellery workshop in the heart of Birmingham’s Jewellery Quarter. 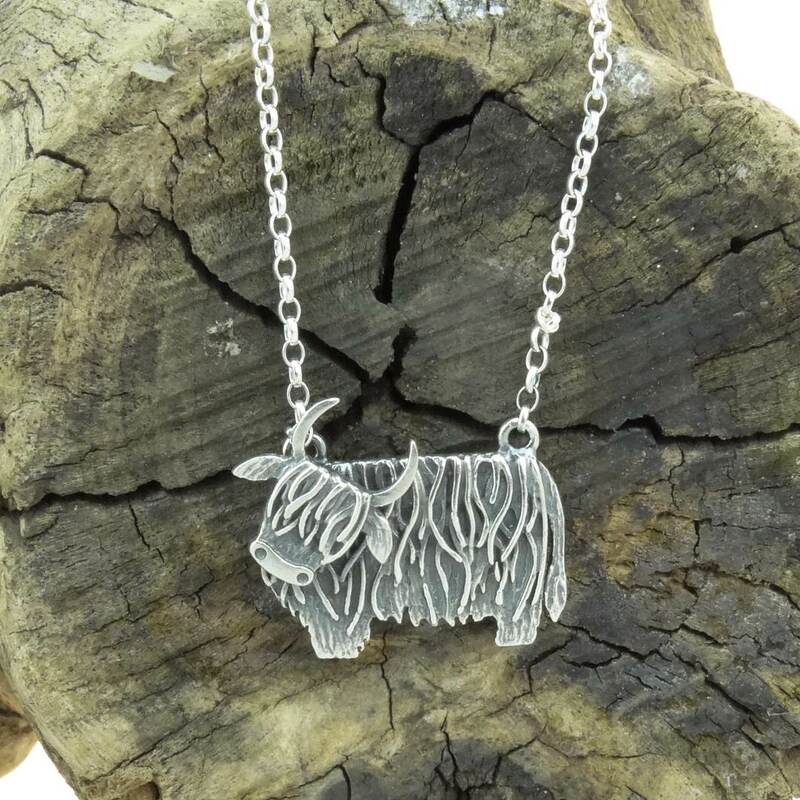 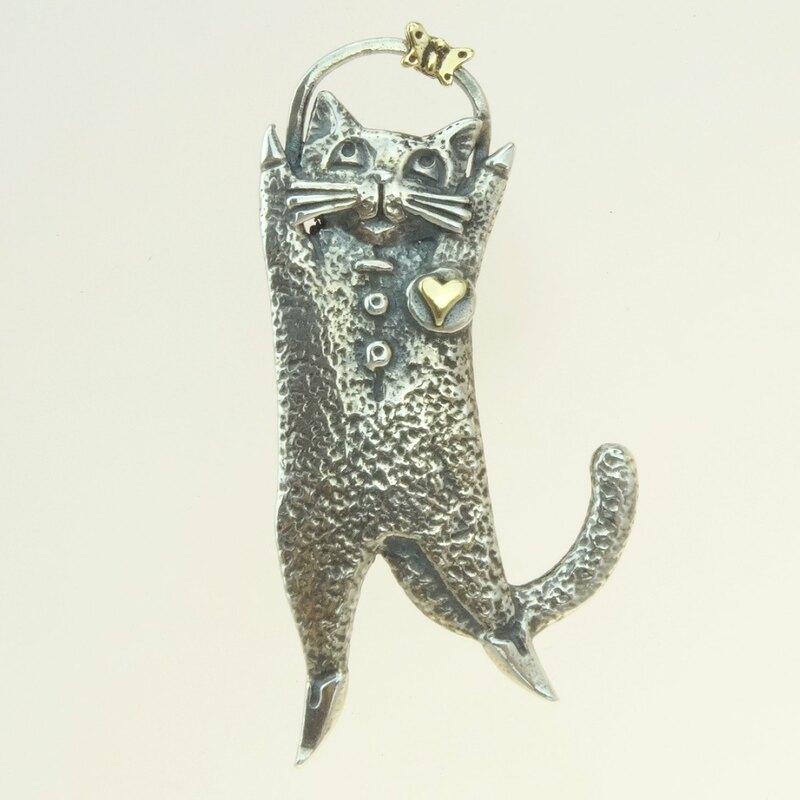 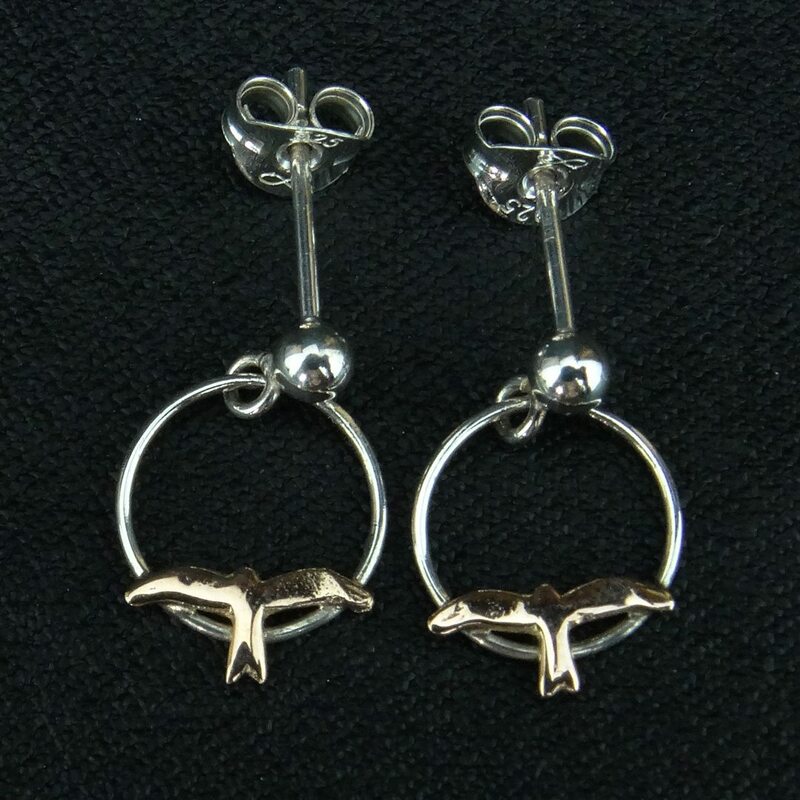 Her jewellery is inspired by animals and nature, each miniature Silver animal is modelled by hand to give it a special character. 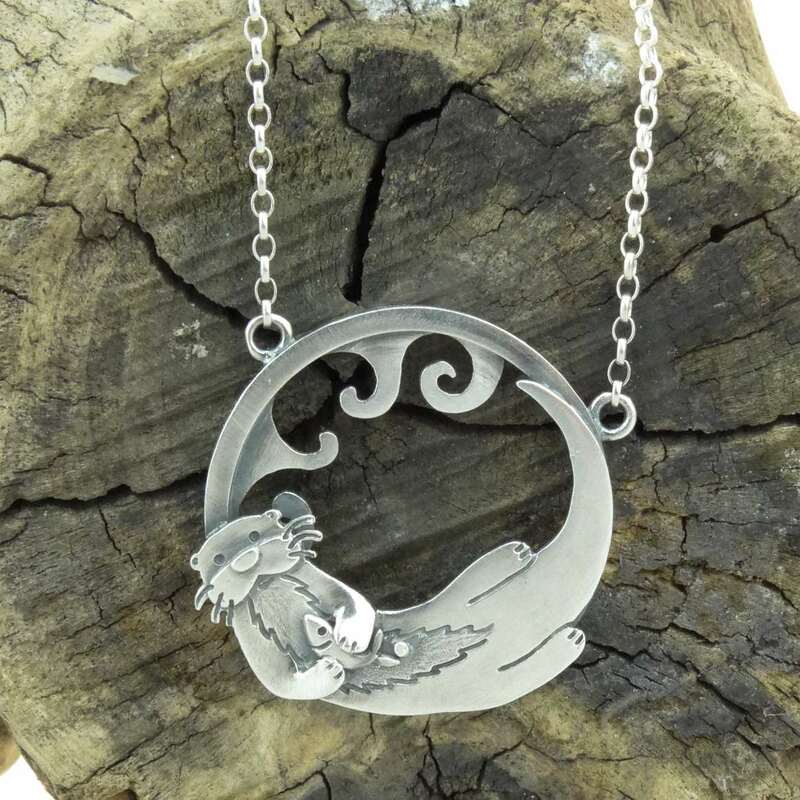 These creatures are then made into pendants, earrings, charms & bracelets. 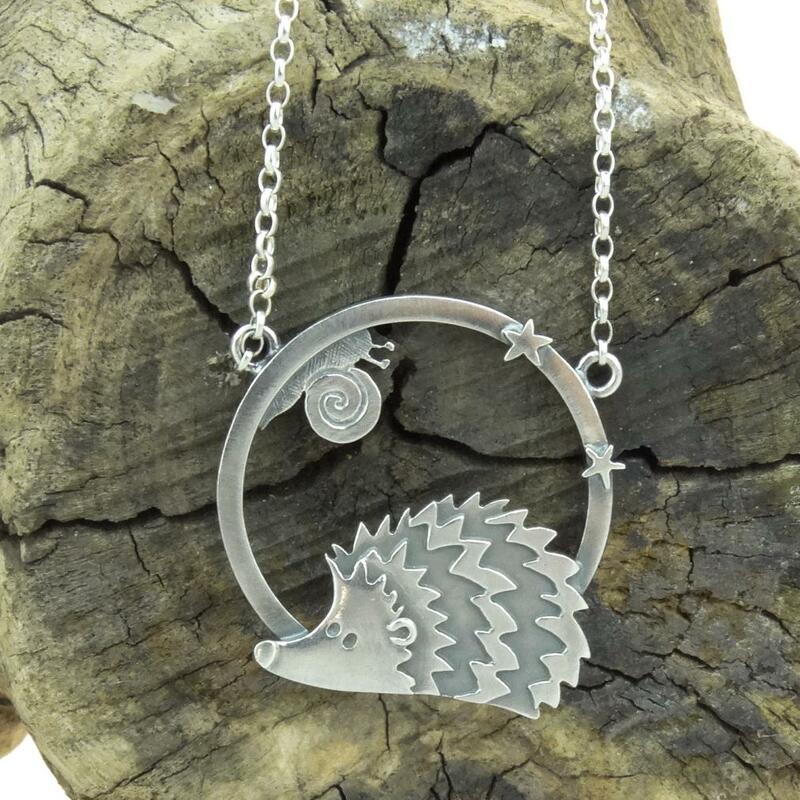 Helen also makes larger pieces where the animals are placed into miniature three-dimensional scenes representing their natural habitats in a fun and stylised way. 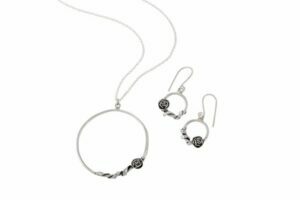 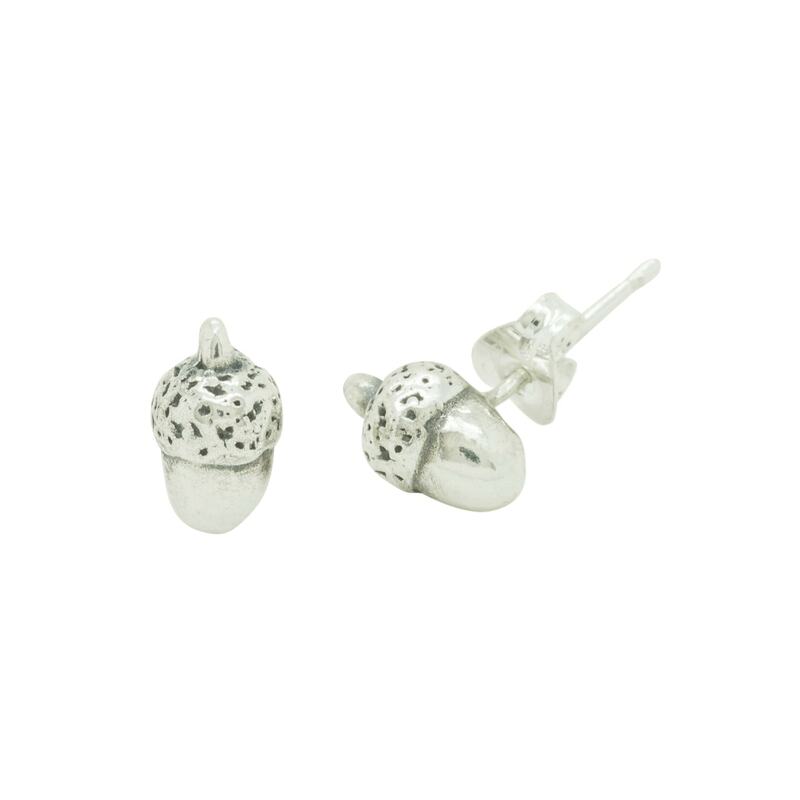 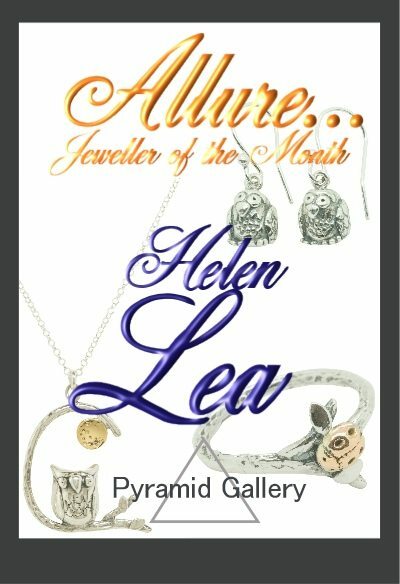 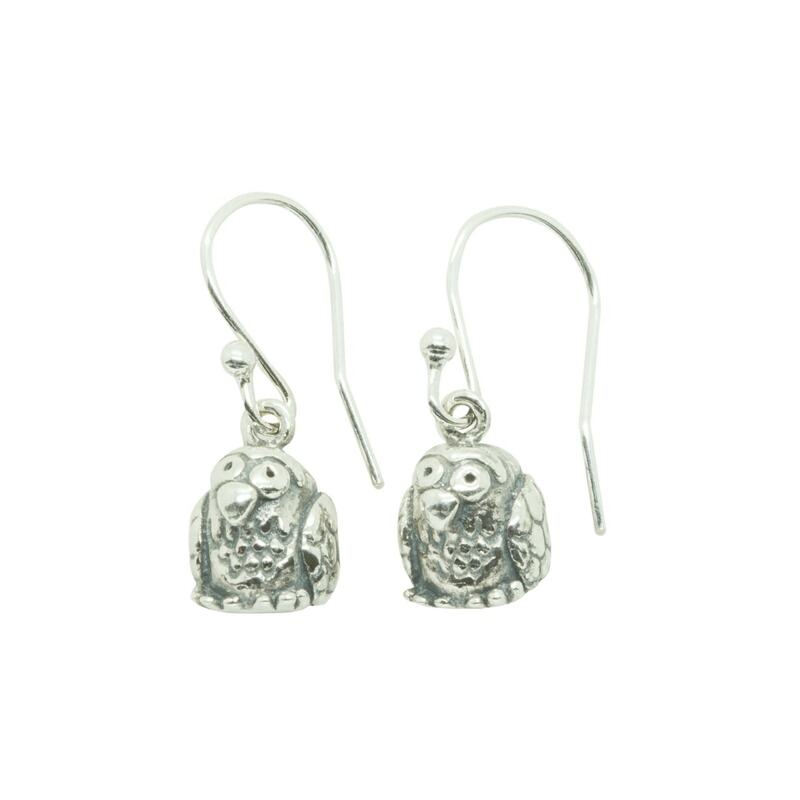 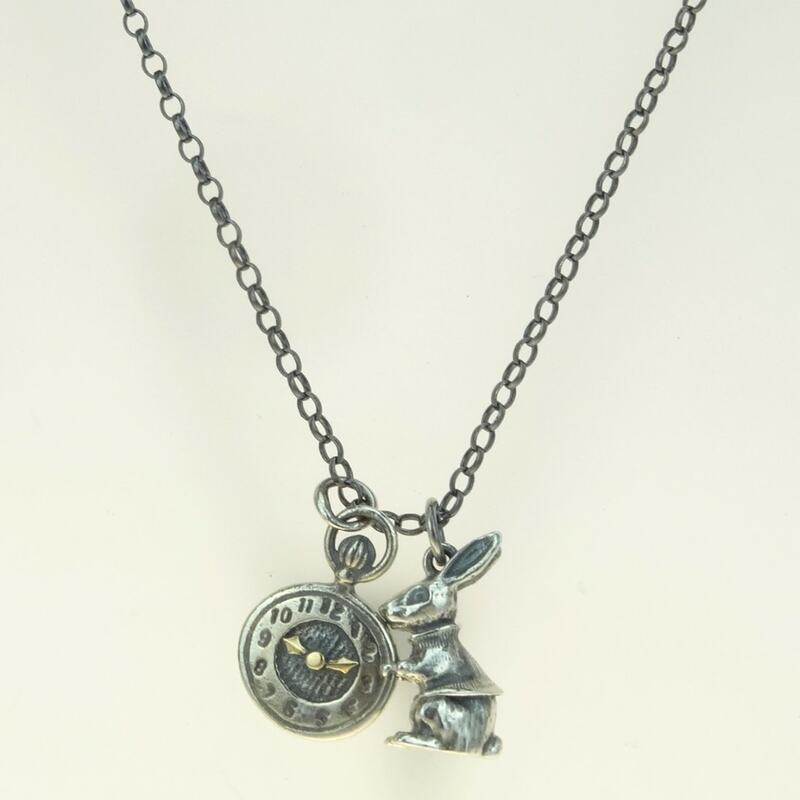 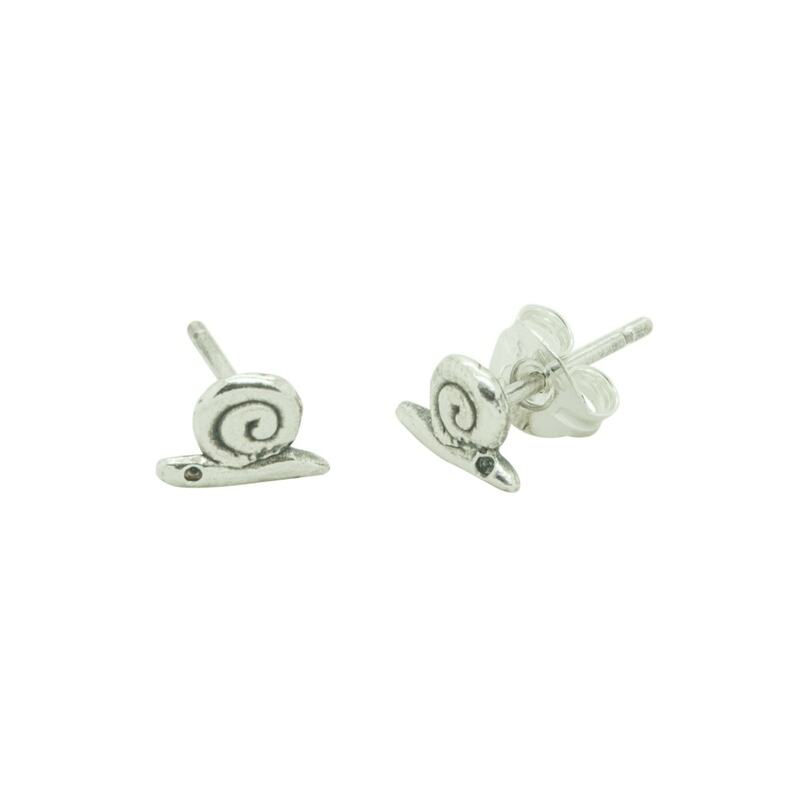 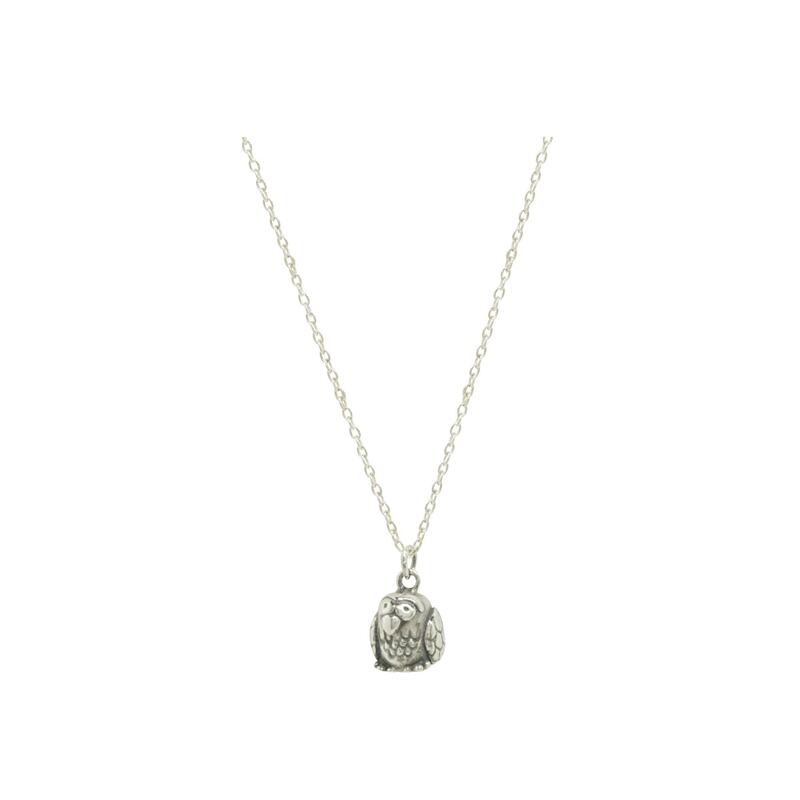 Helen likes her jewellery to be cute, fun and quirky with the ability to raise a smile! 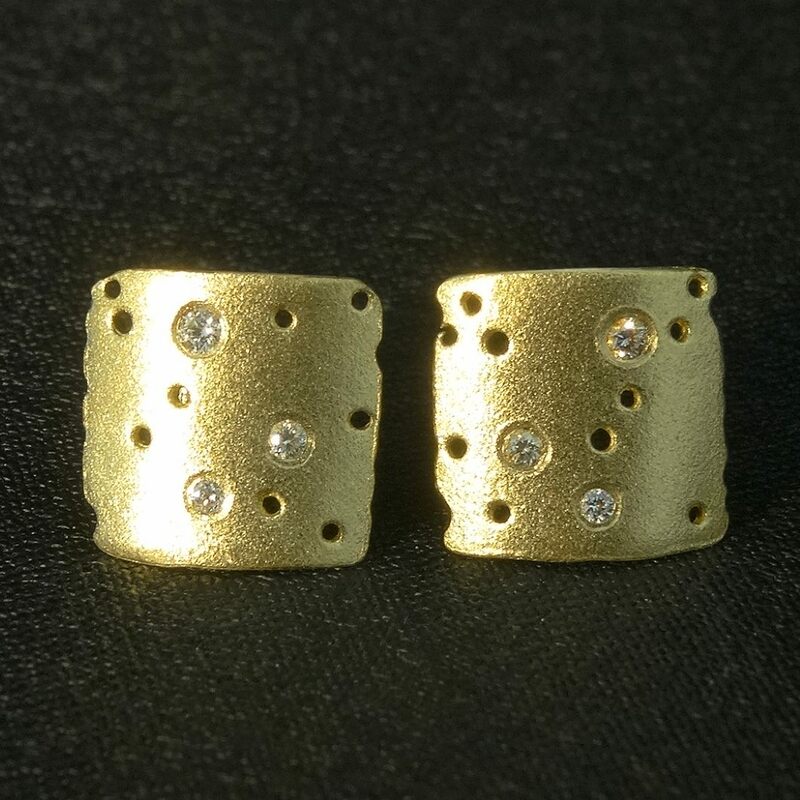 surface of non-precious metals such as copper and brass. 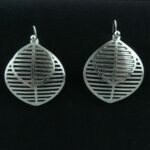 shapes that also retained an individual interest. 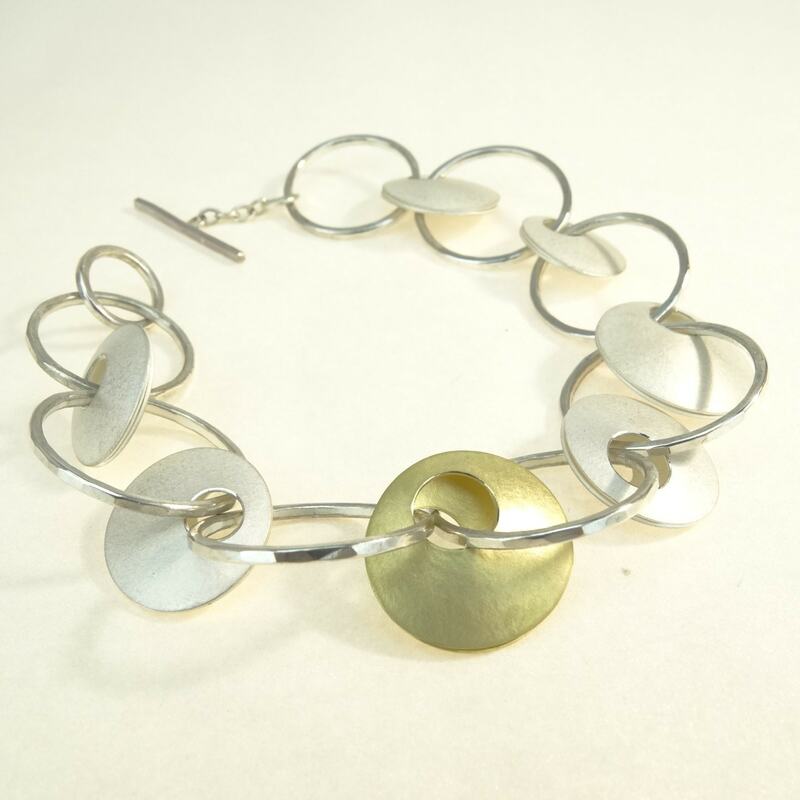 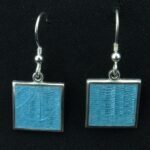 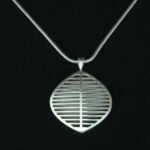 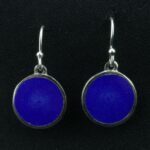 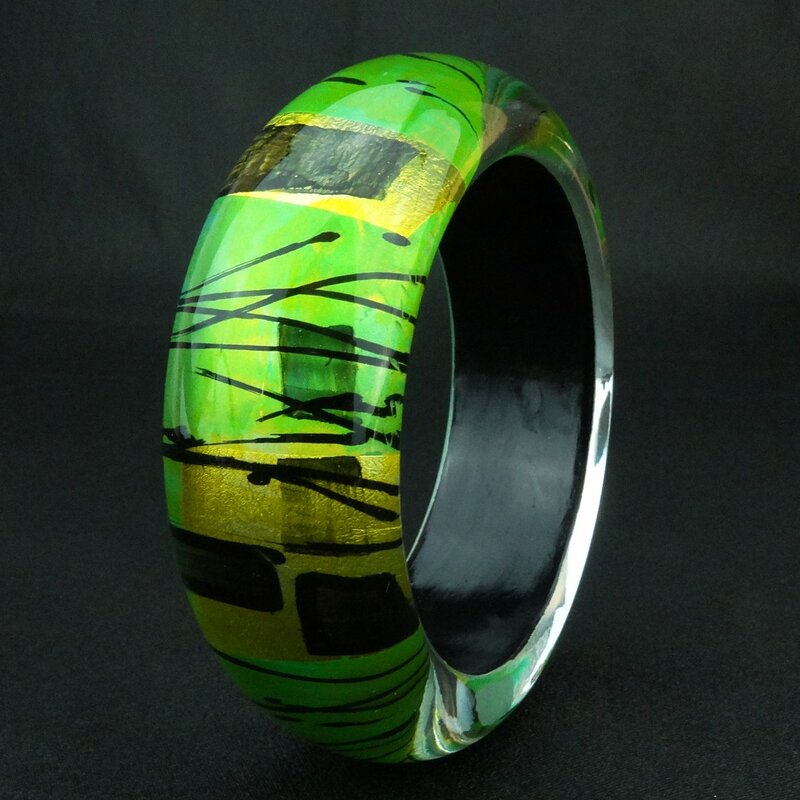 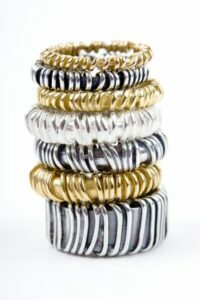 The jewellery is made in anodised aluminium combined with silver. 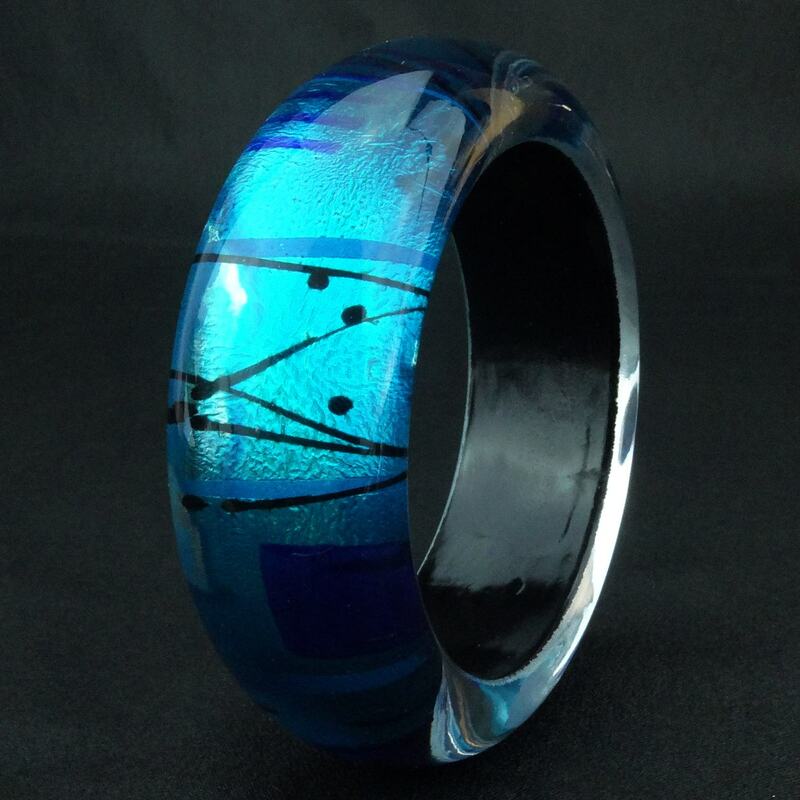 Pre- anodised sheets of aluminium are dyed freehand and the colours diluted to achieve a watercolour effect giving them more depth and subtlety. 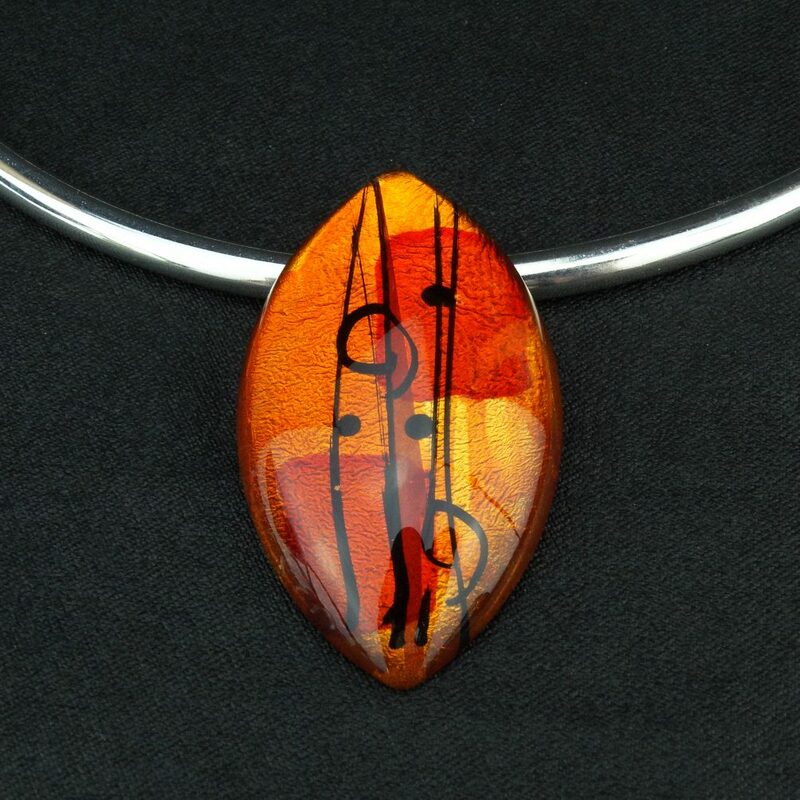 When the sheet is dry, it is boiled to seal the colour permanently into the surface. 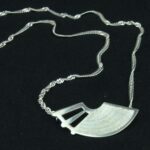 Once this is done the sheet is ready to be cut up into jewellery. 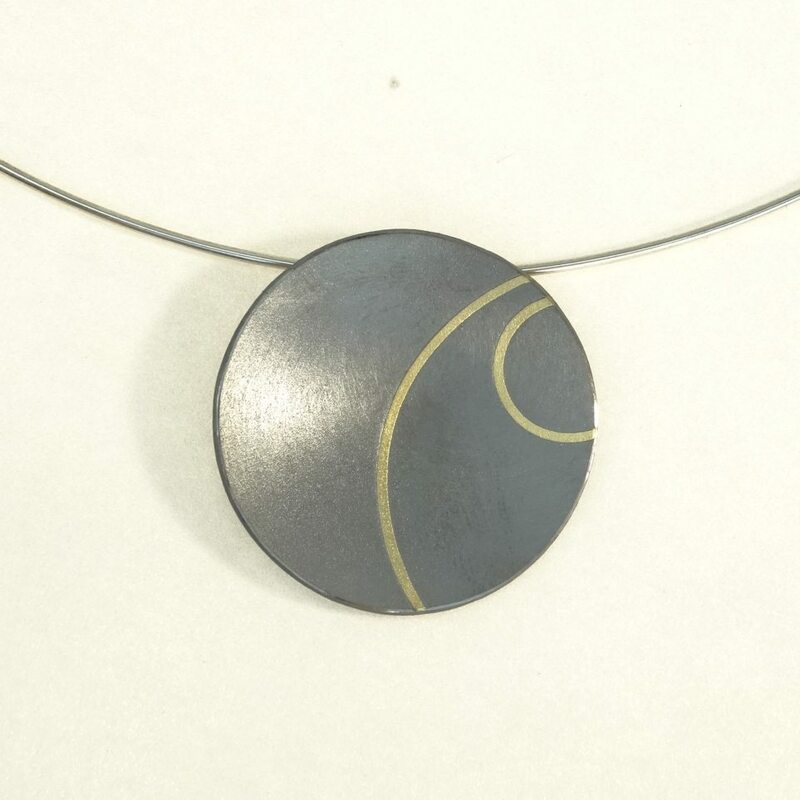 The pieces are milled to add a texture to the surface, shaped, and the edges are polished. 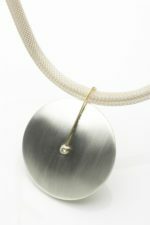 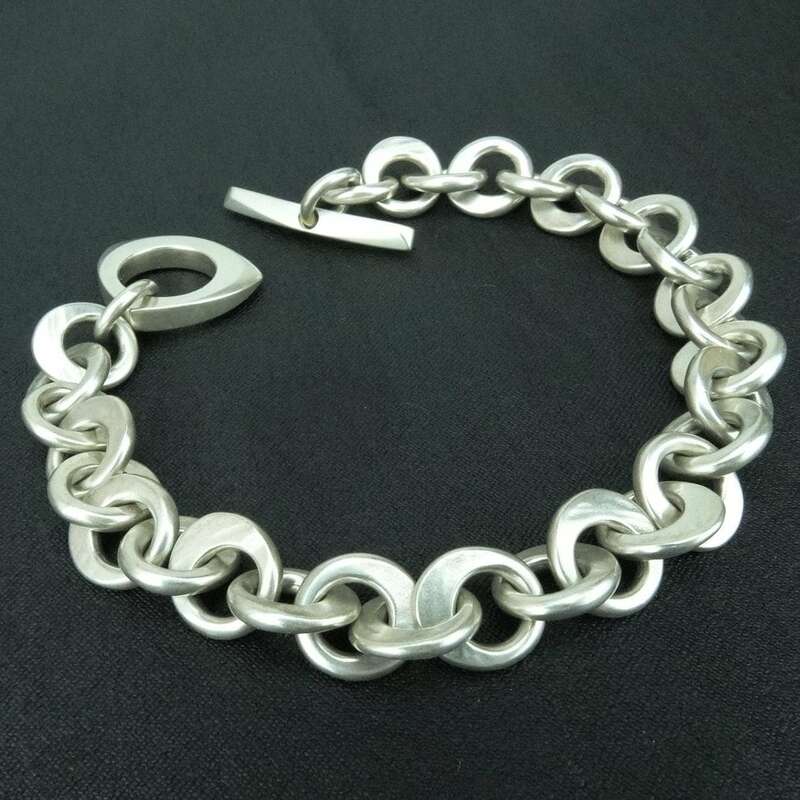 The aluminium is then combined with silver either by riveting or using folding techniques. 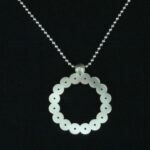 All the wires and chains are made from sterling silver.